Don’t forget workday Saturday! We will not have any trees yet, so we will work on other things. 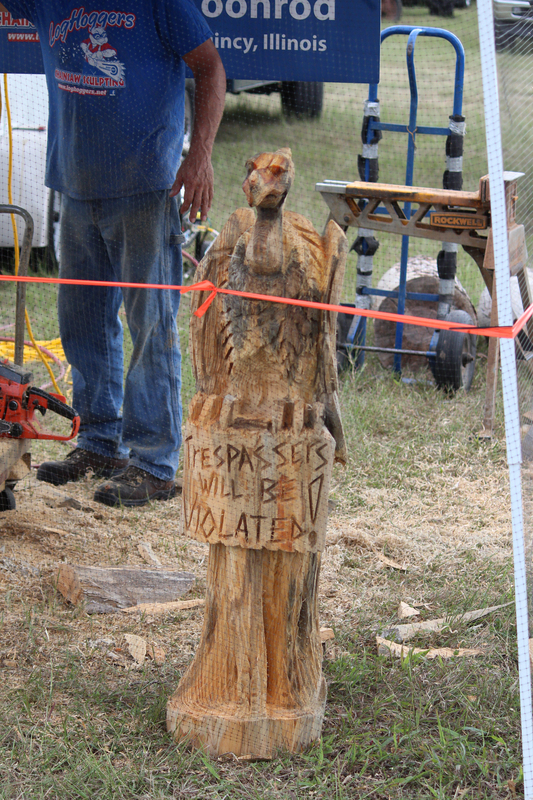 We have some seavans that need some patching done on them, some carpentry work to do and some spring time cleanup to do! 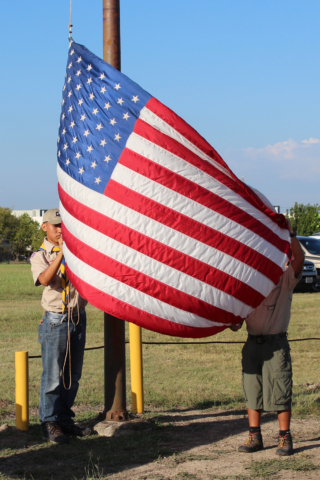 Don’t forget, quarterly meeting tomorrow! 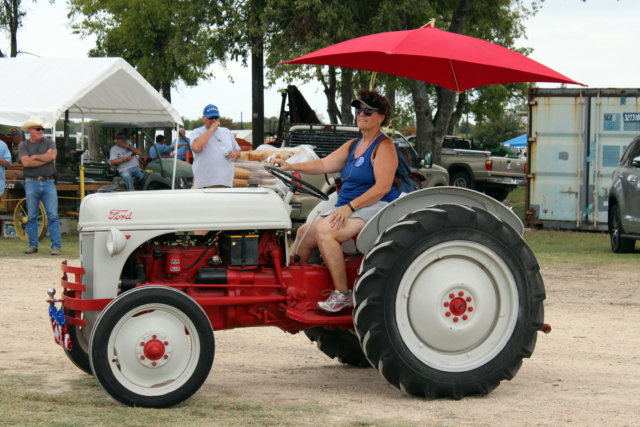 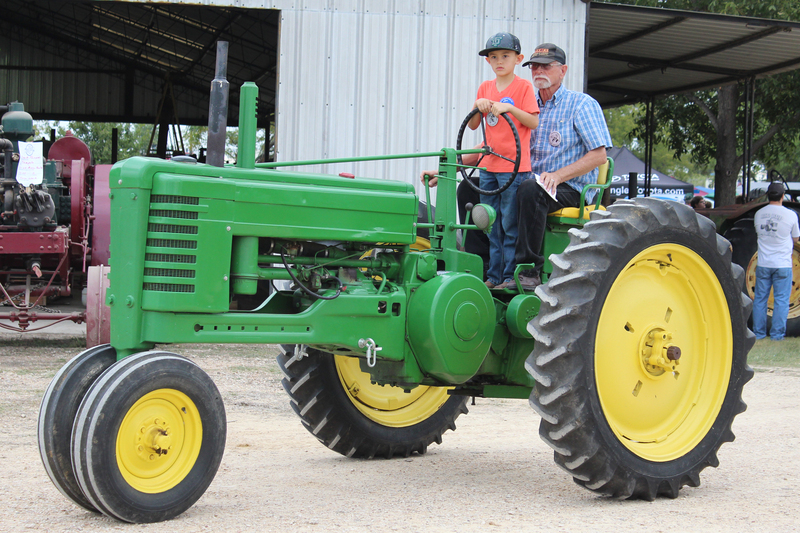 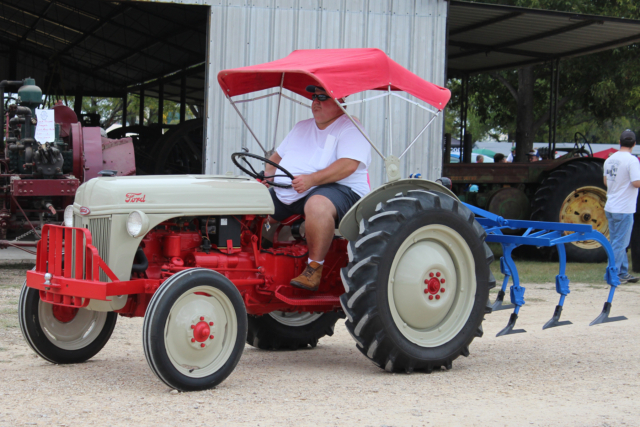 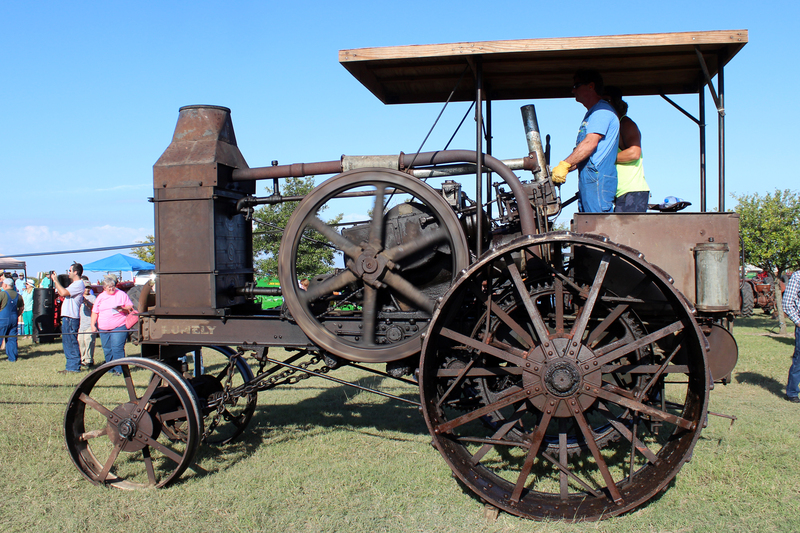 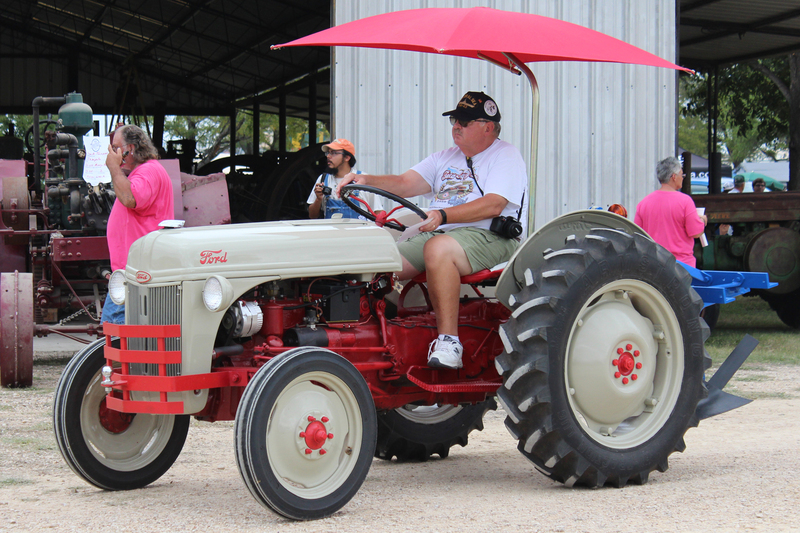 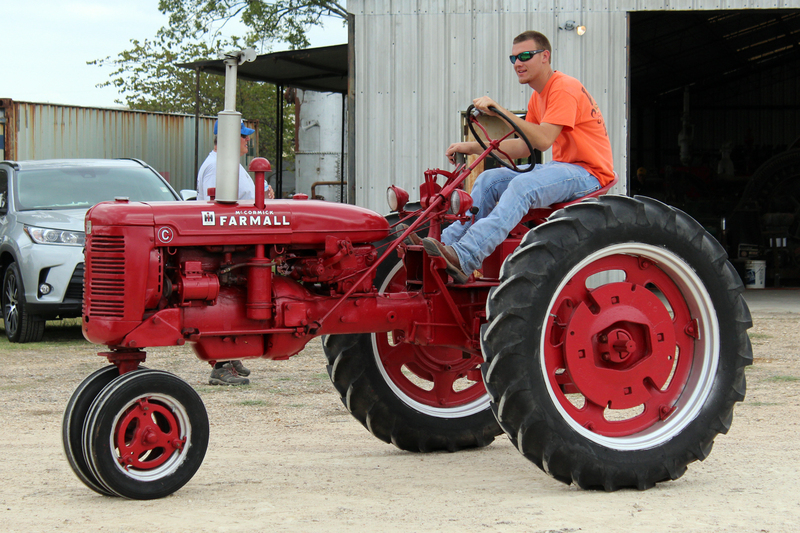 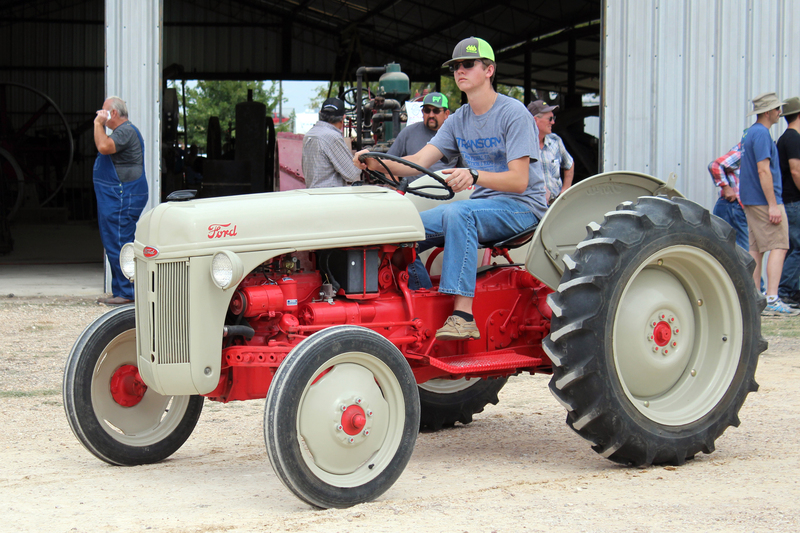 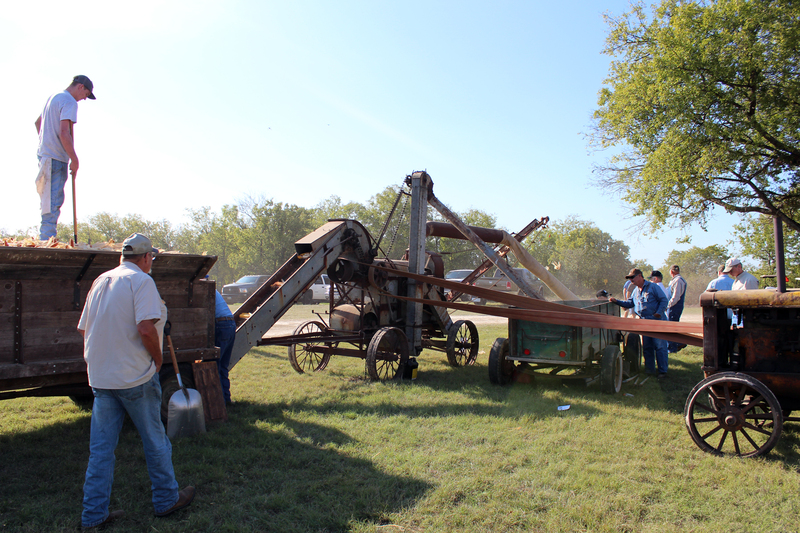 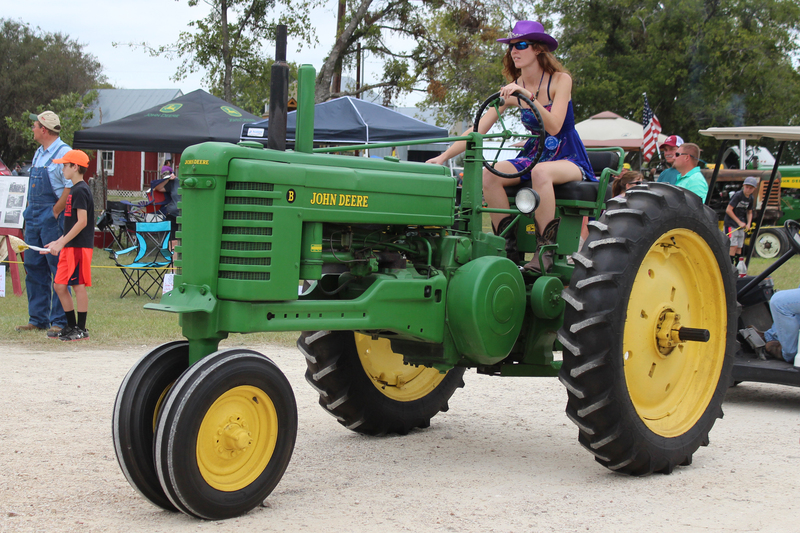 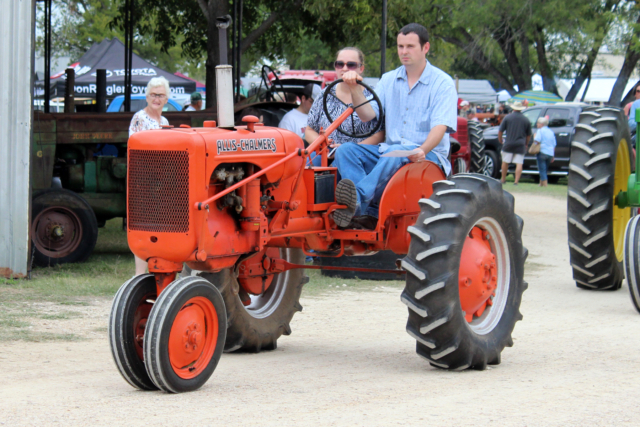 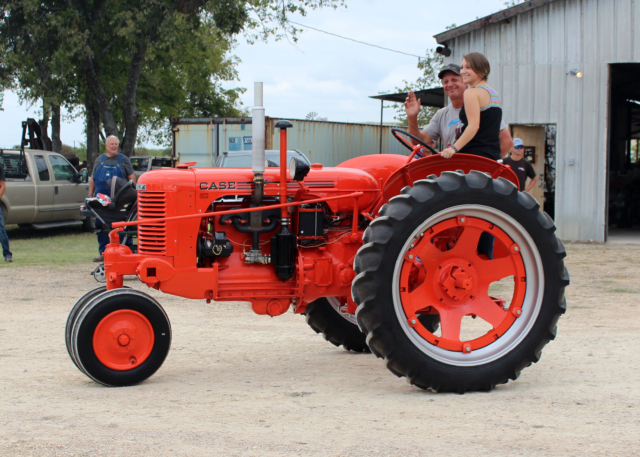 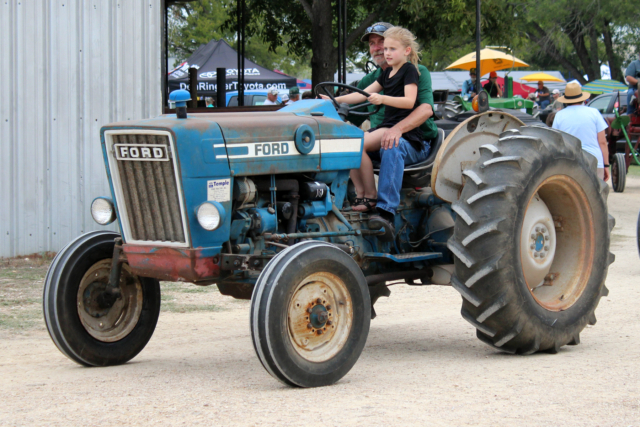 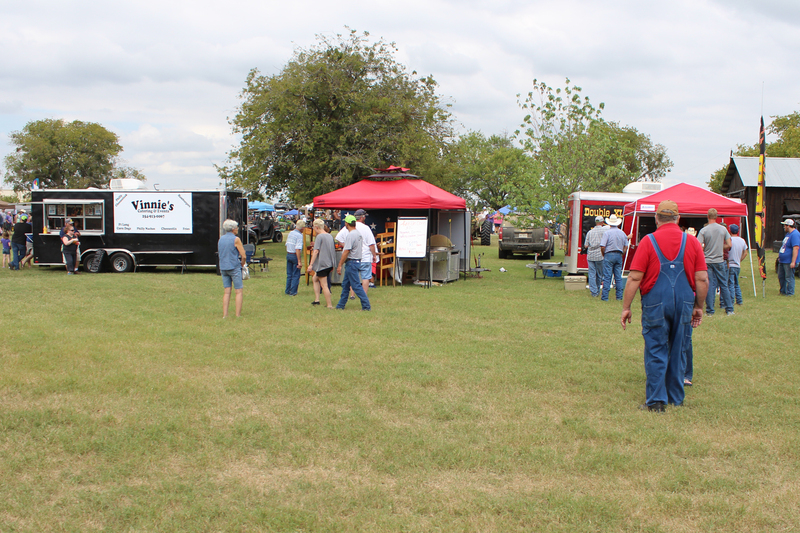 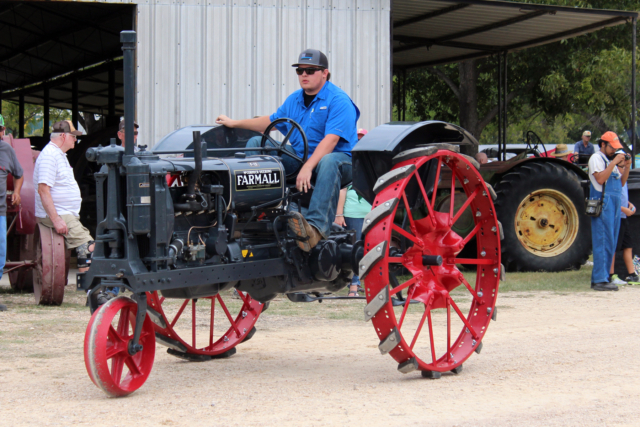 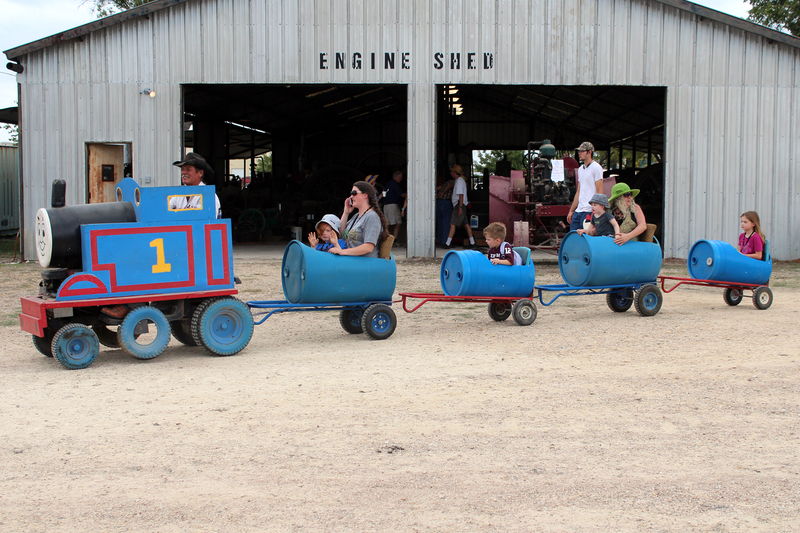 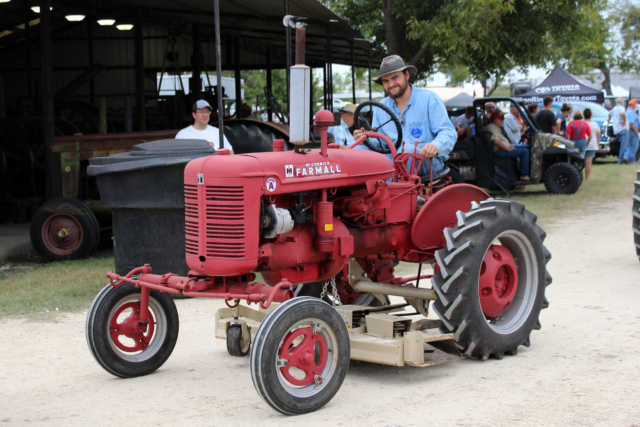 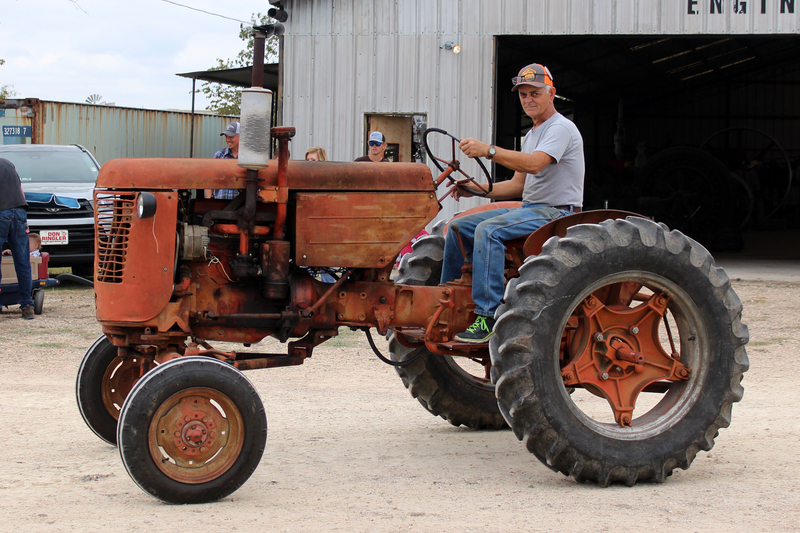 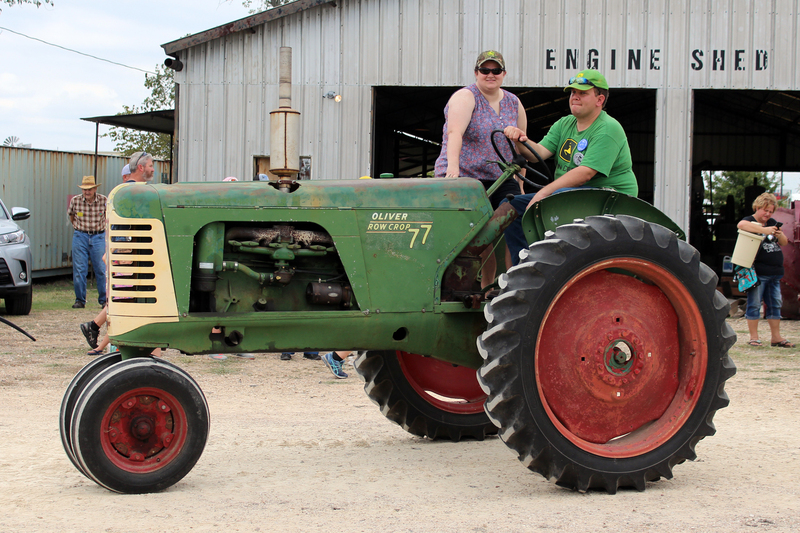 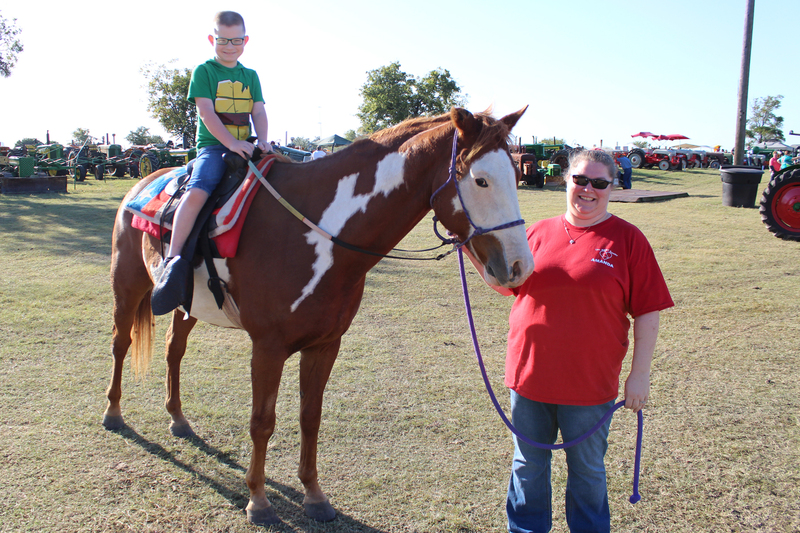 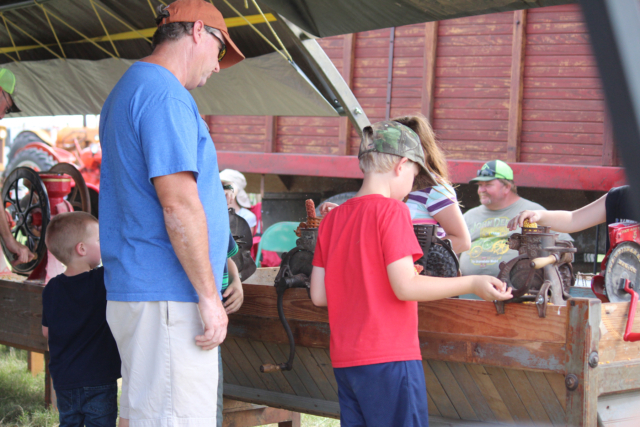 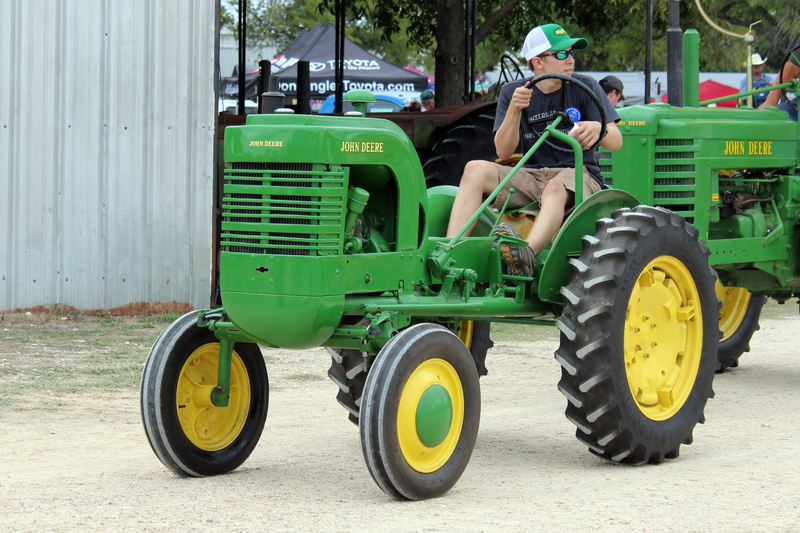 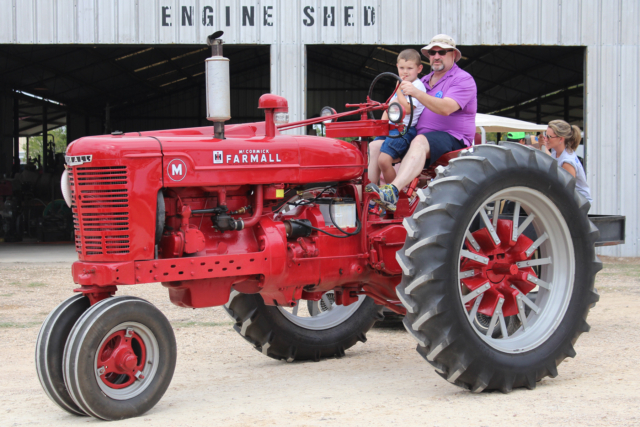 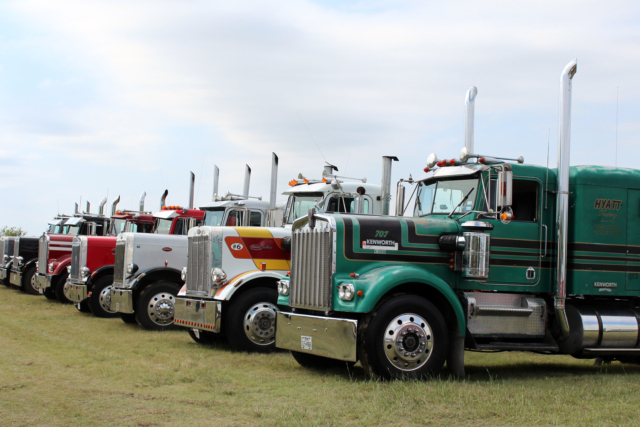 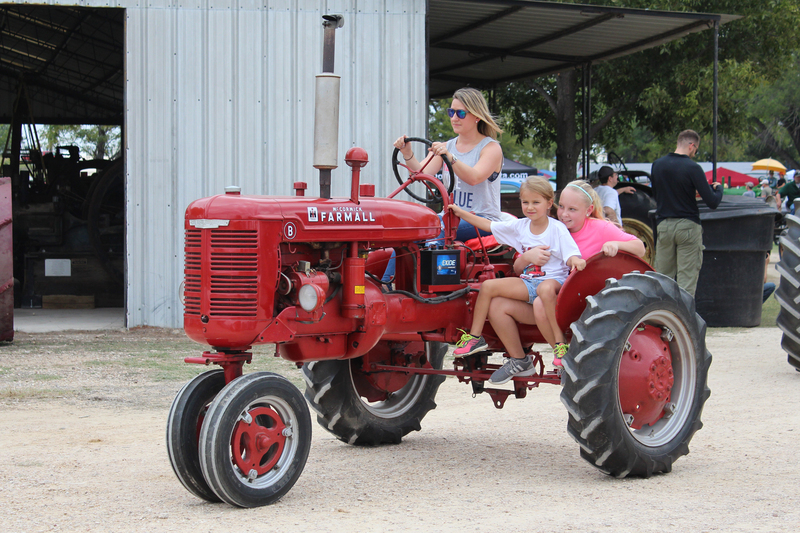 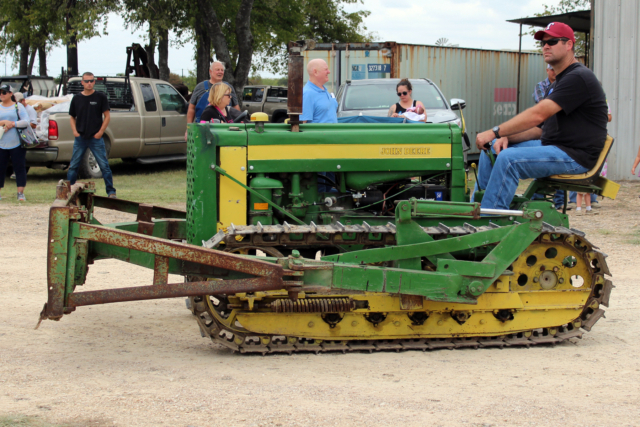 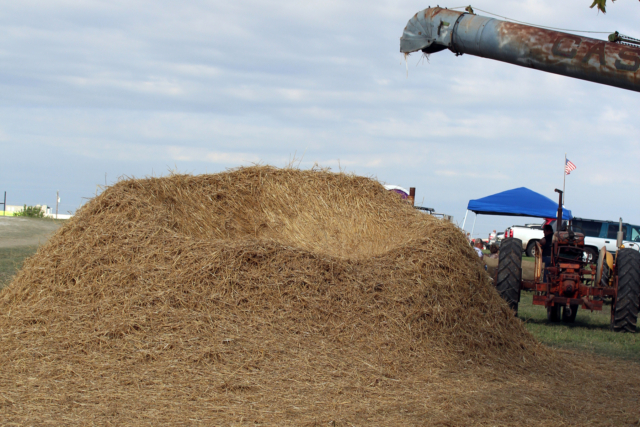 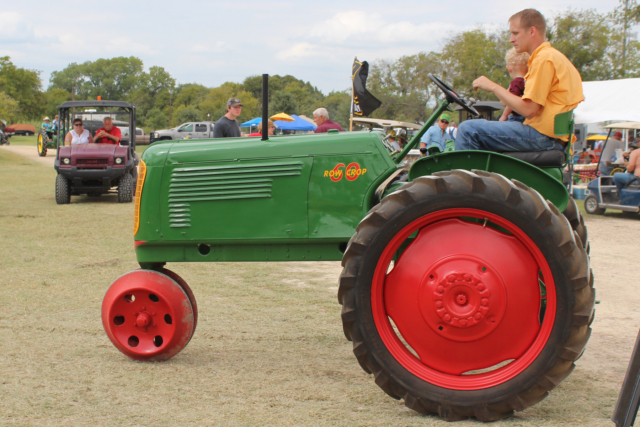 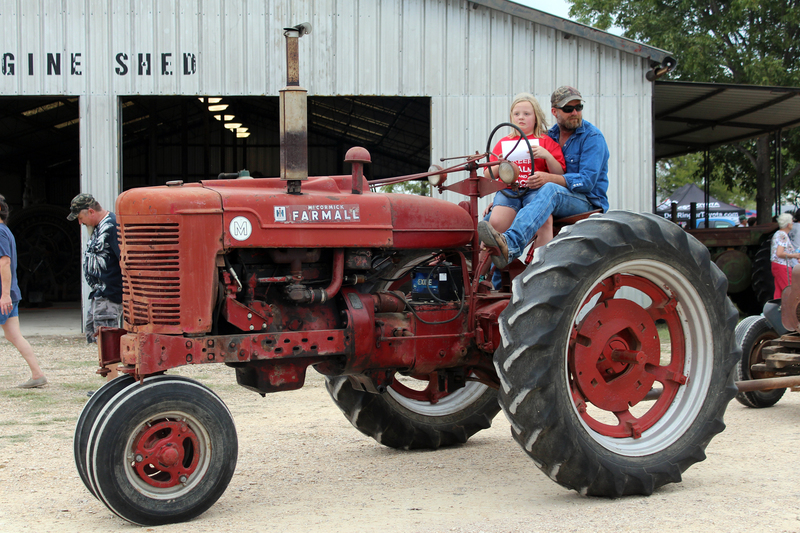 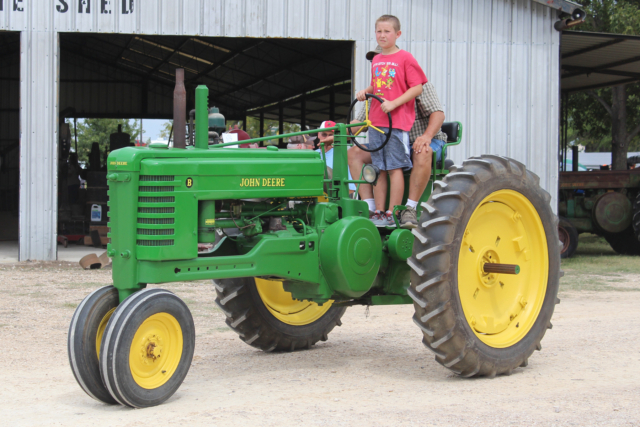 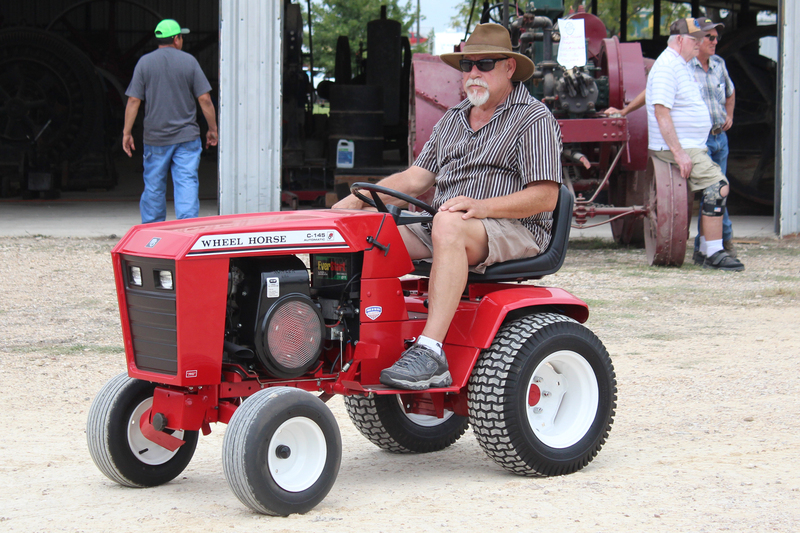 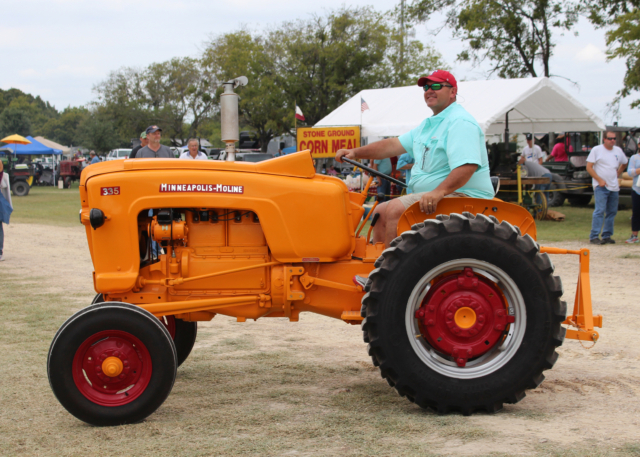 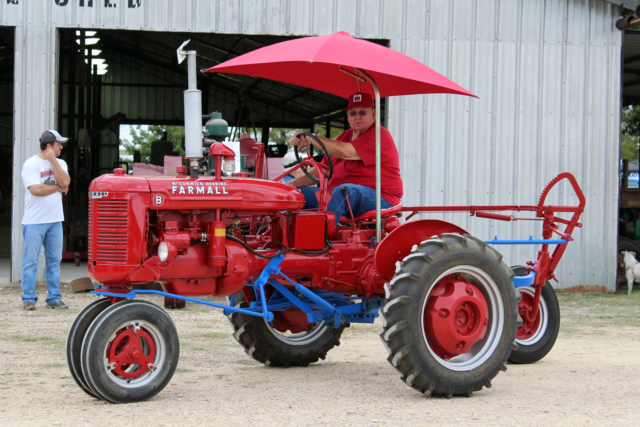 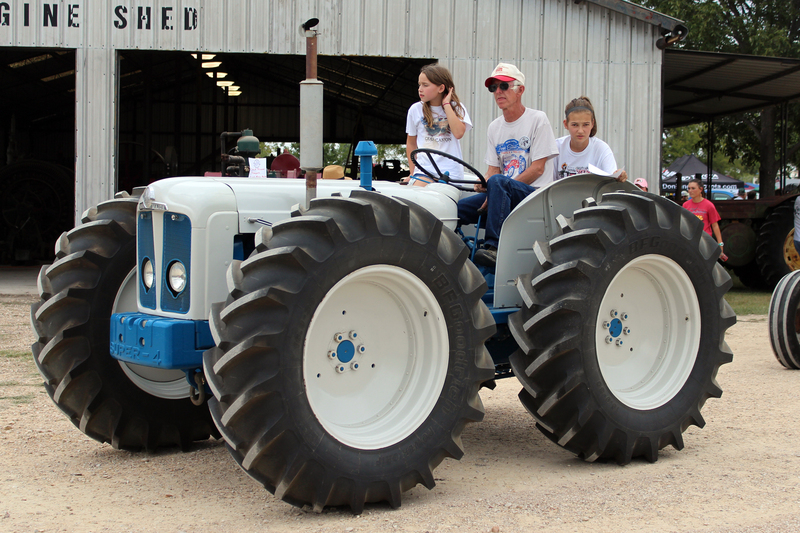 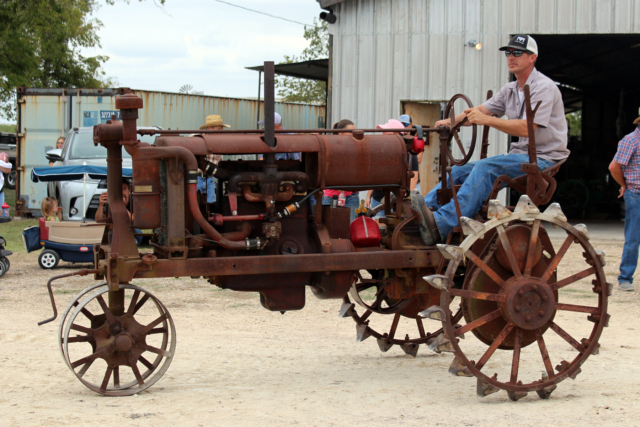 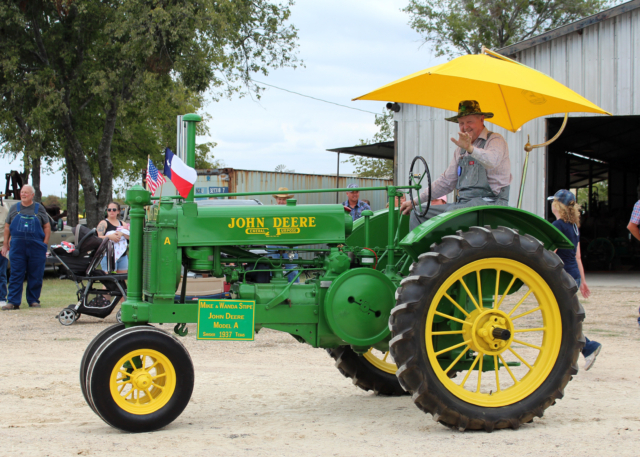 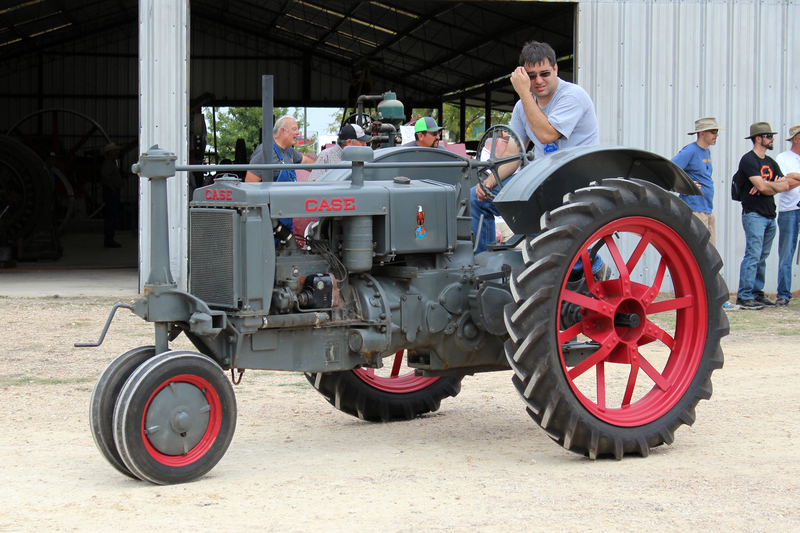 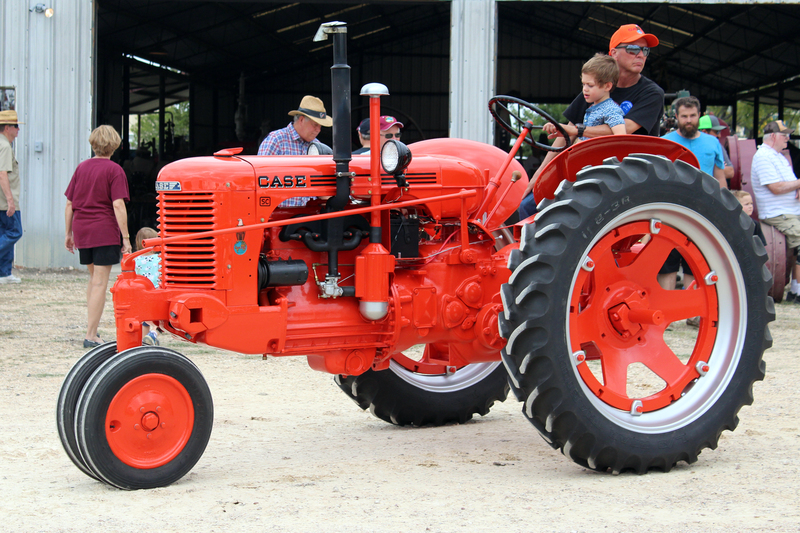 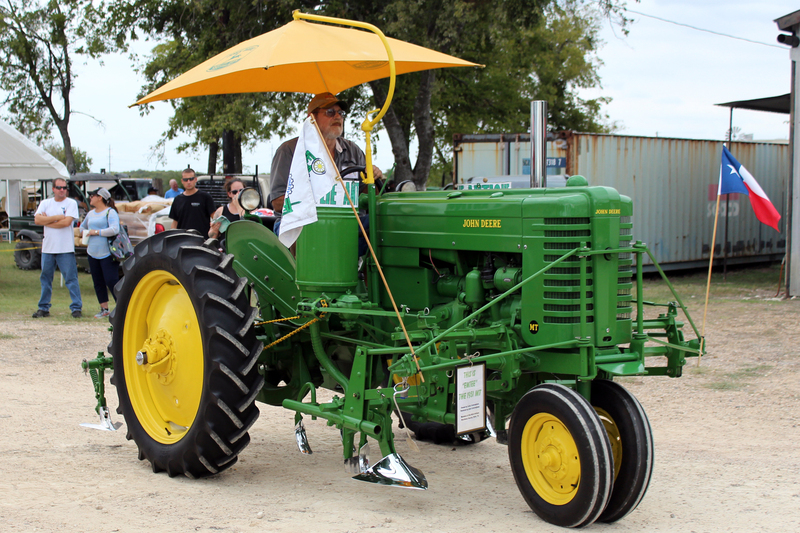 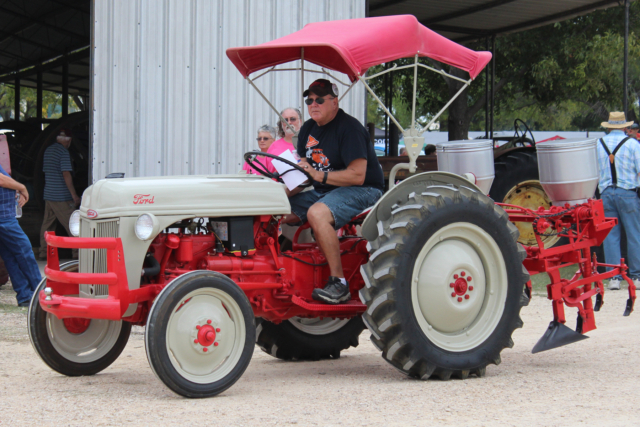 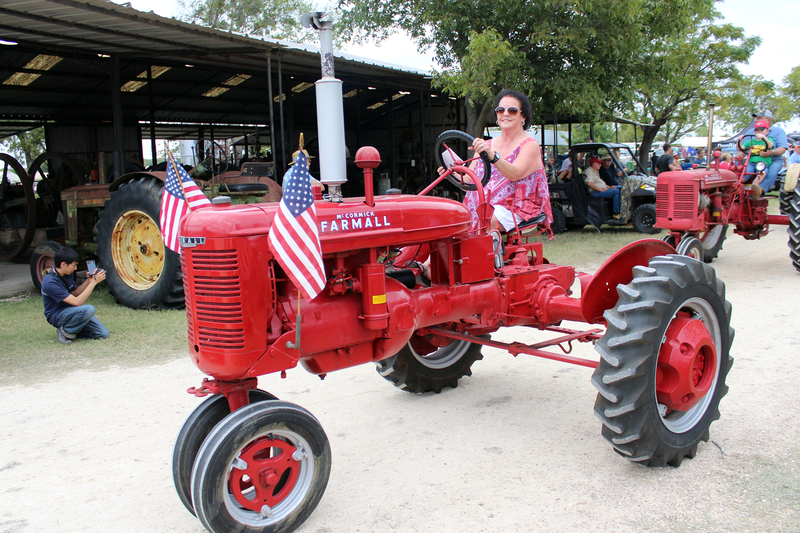 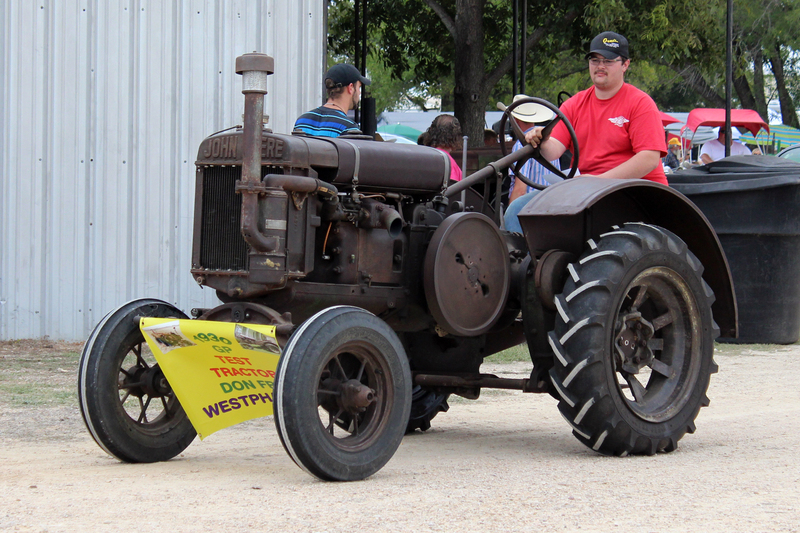 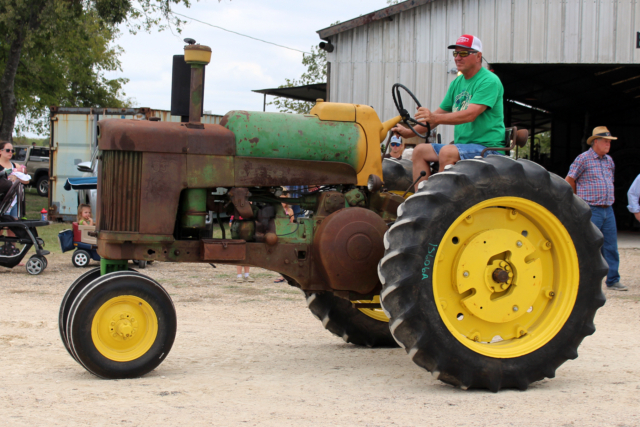 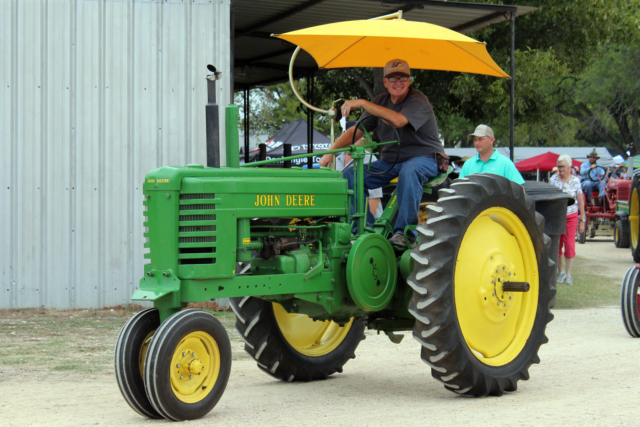 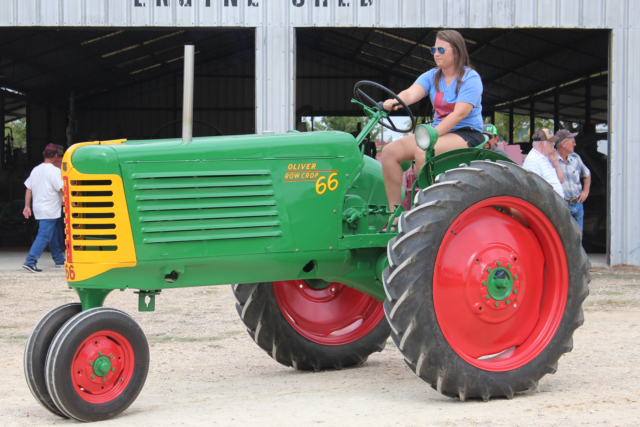 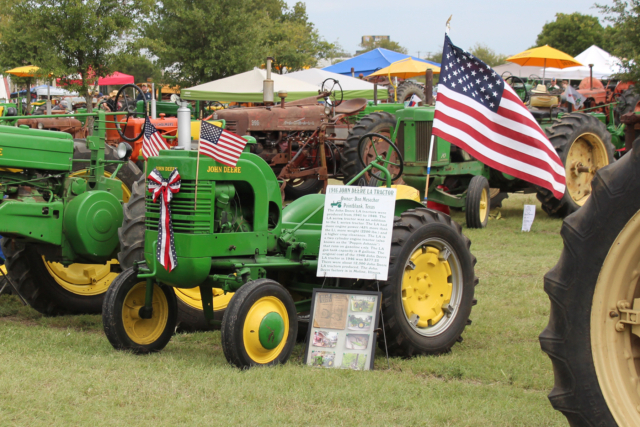 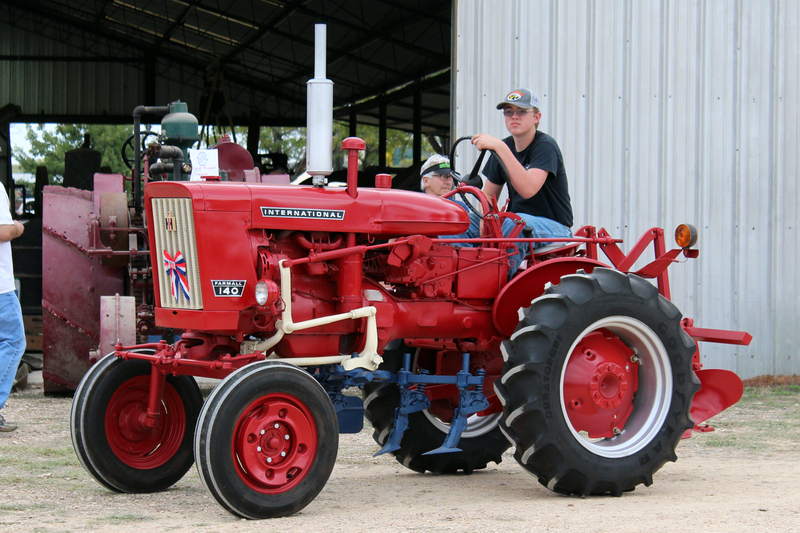 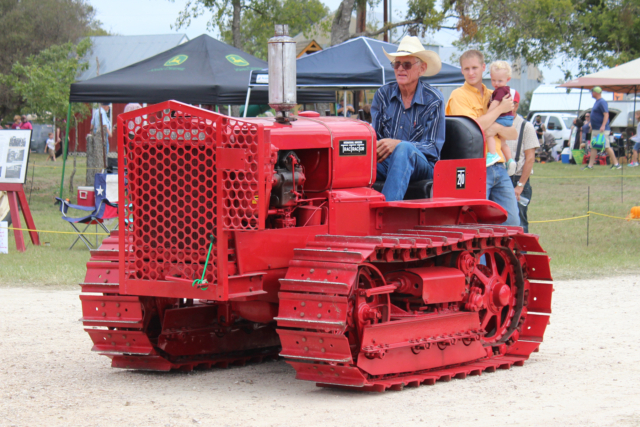 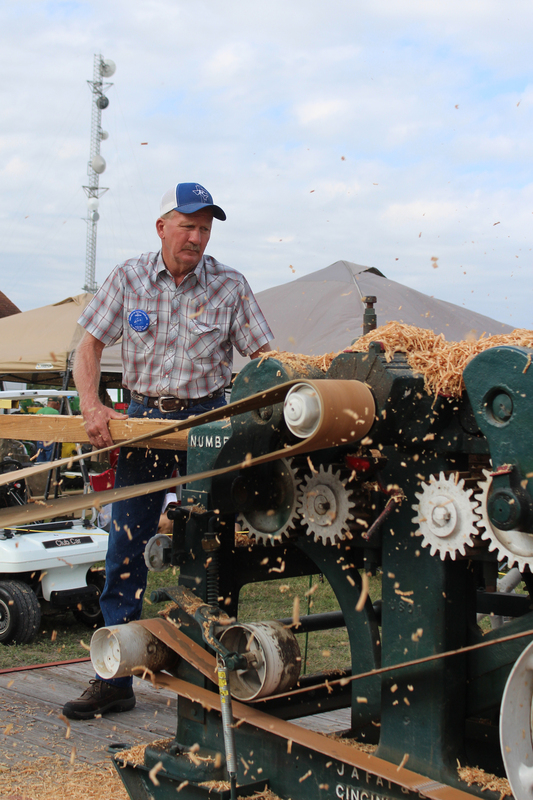 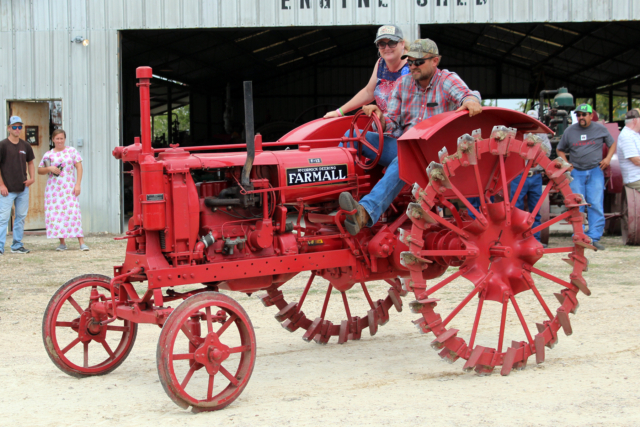 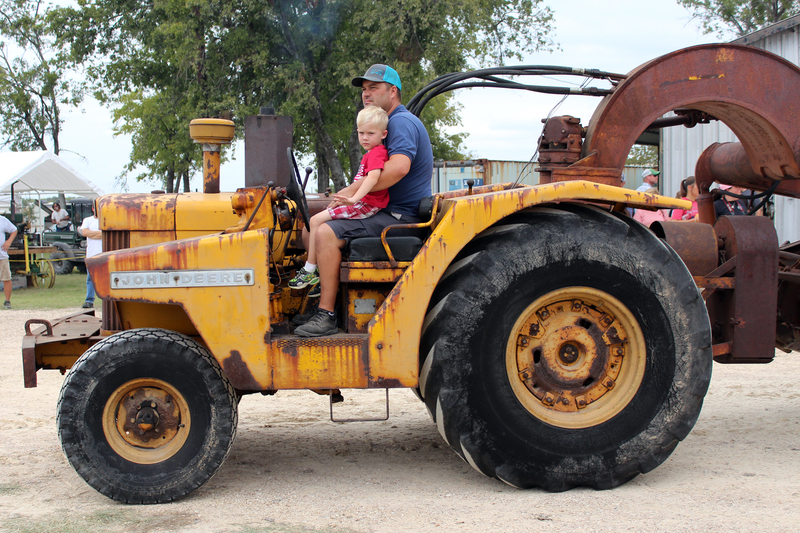 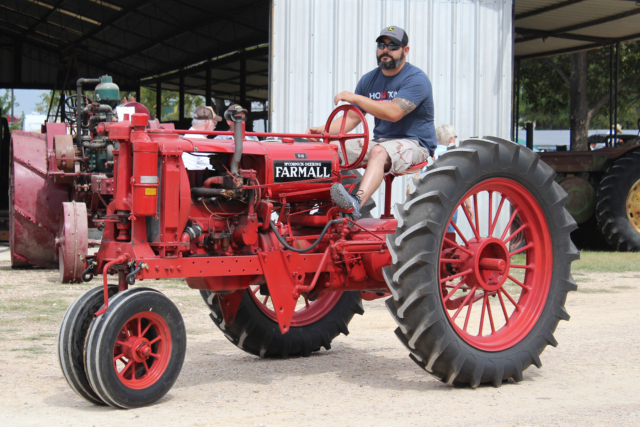 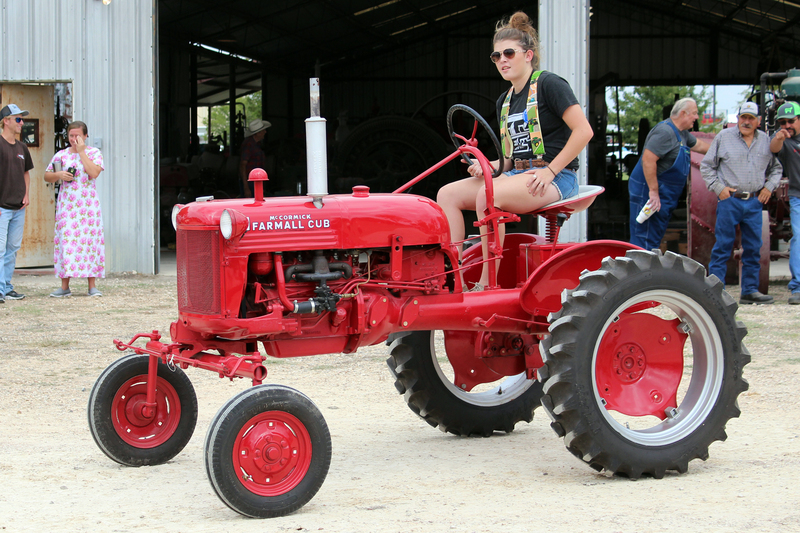 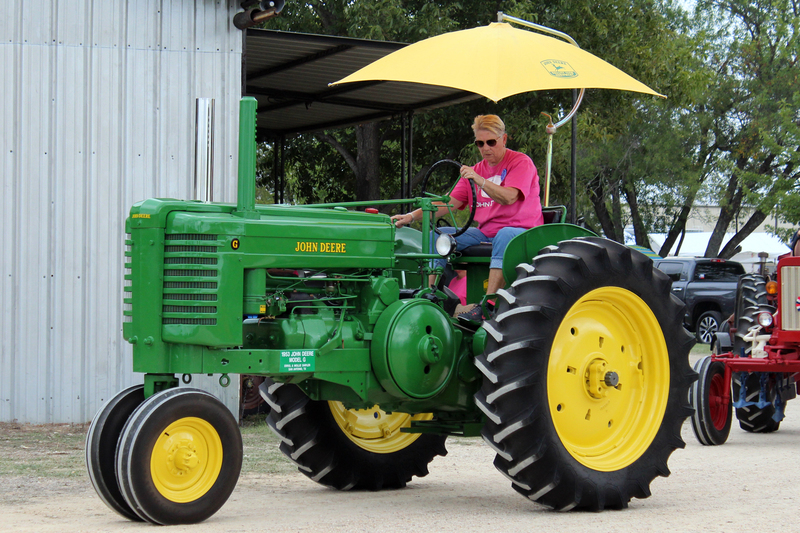 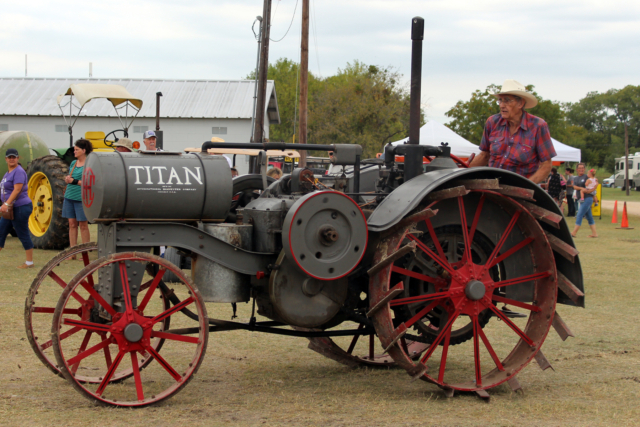 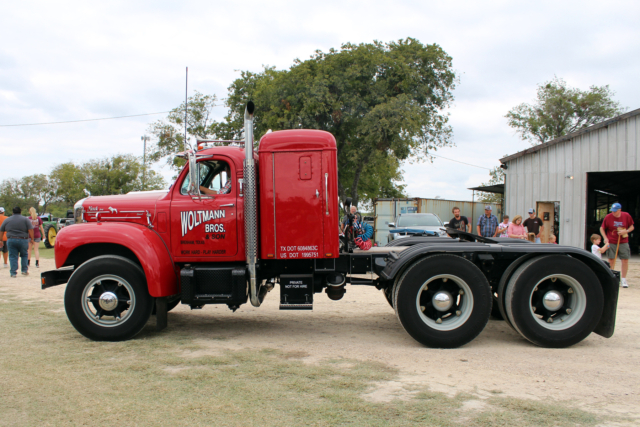 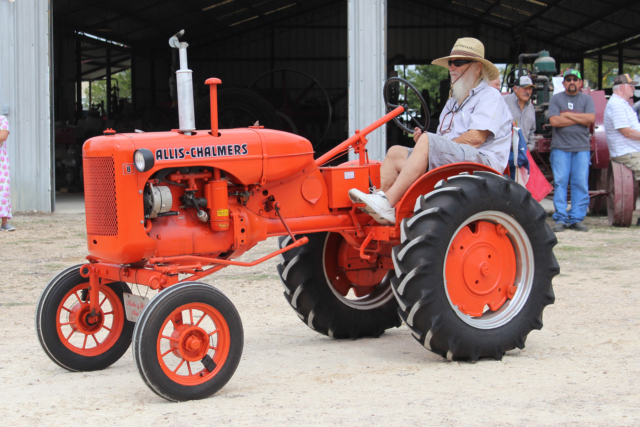 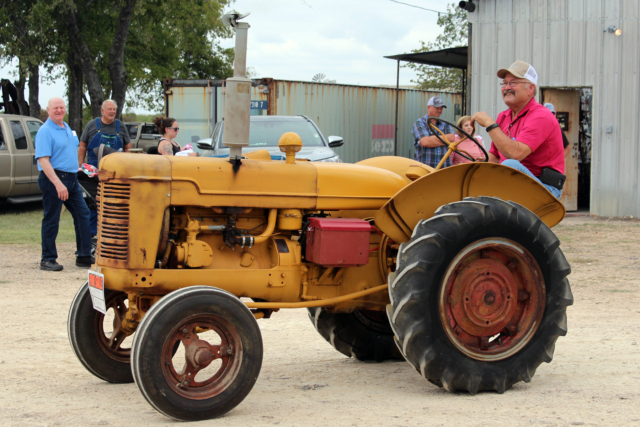 Check out some pictures that Jeannie Elliott took of the 2017 Texas Early Day Tractor & Engine Association 46th Annual State Show! 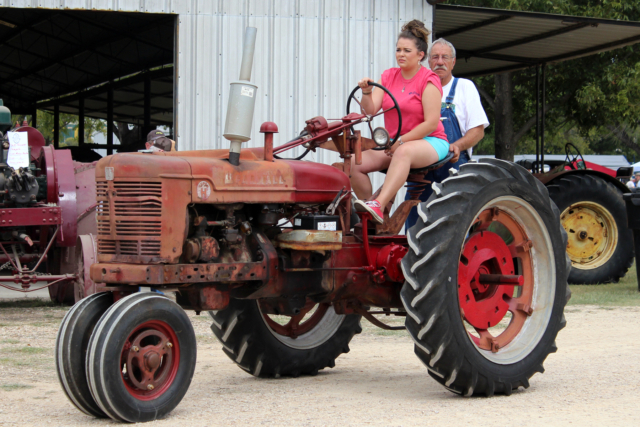 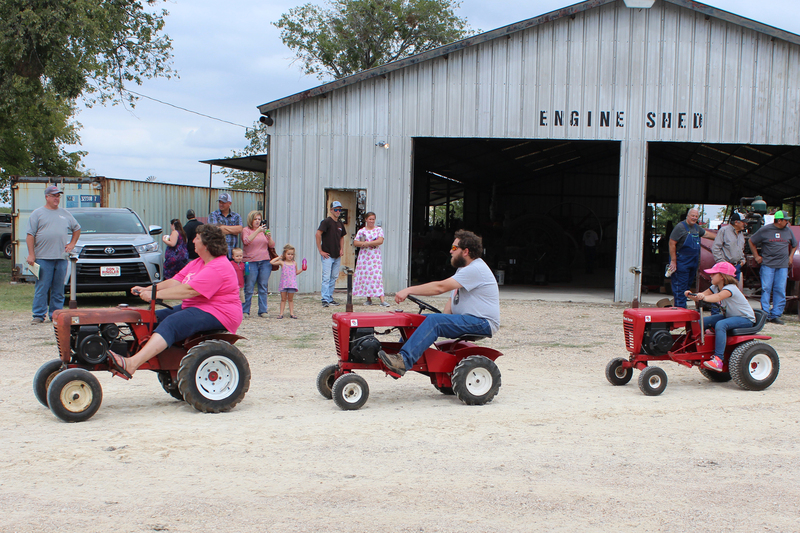 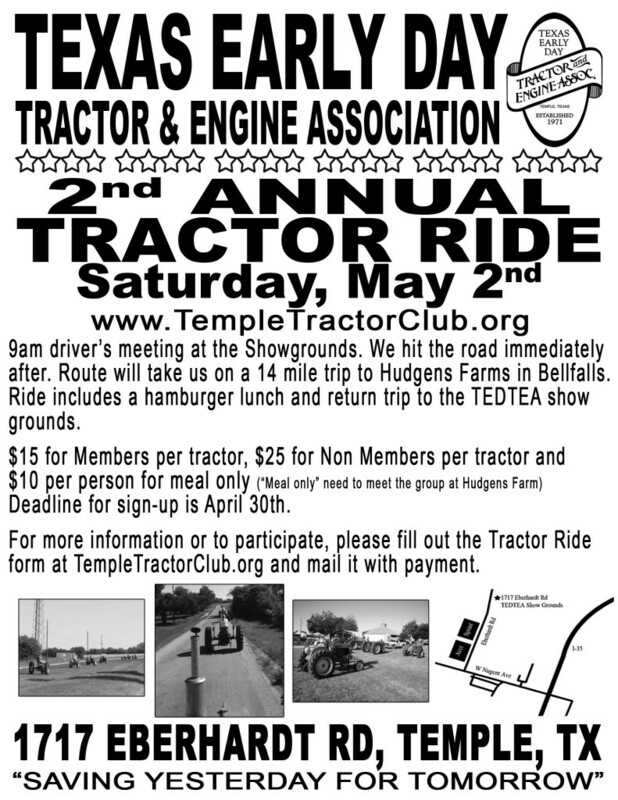 4th Annual Tractor Ride May 6th!!! It will start at the TEDTEA Show grounds with a driver’s meeting at 9am and we hit the road immediately after. We’ll proceed on an approx. 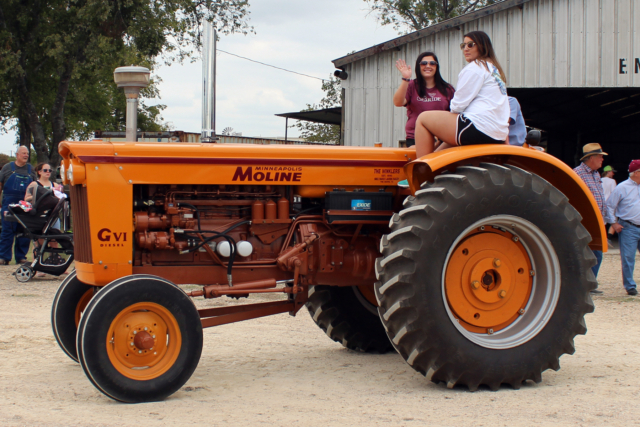 14 mile trip to Hudgens Farms in Bellfalls. 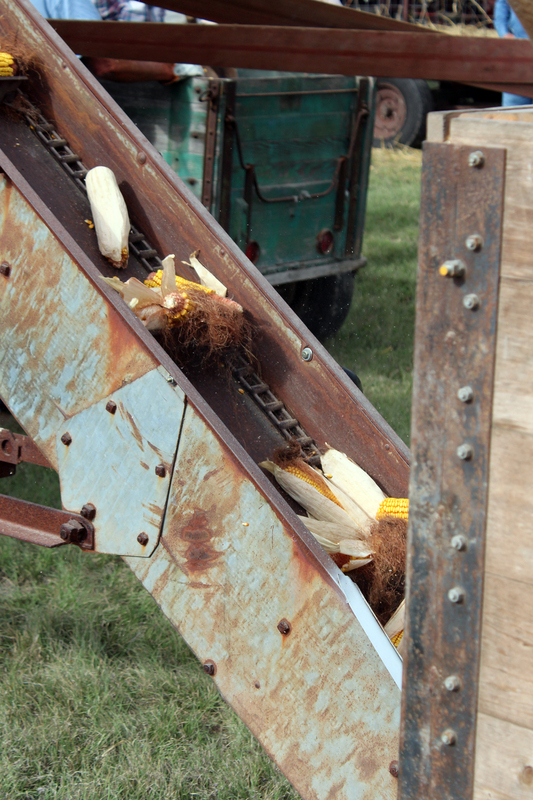 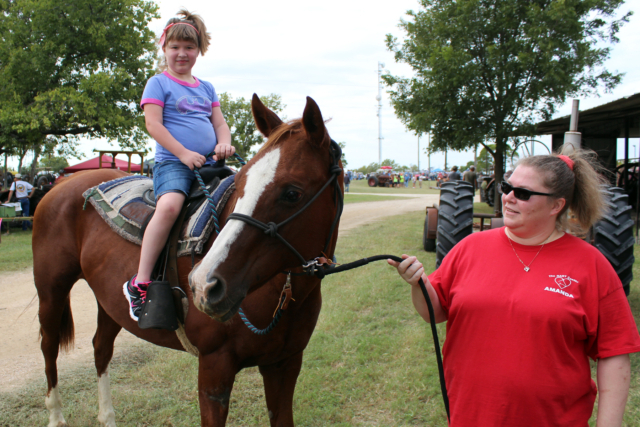 The ride includes a hamburger lunch served at Hudgens Farm. 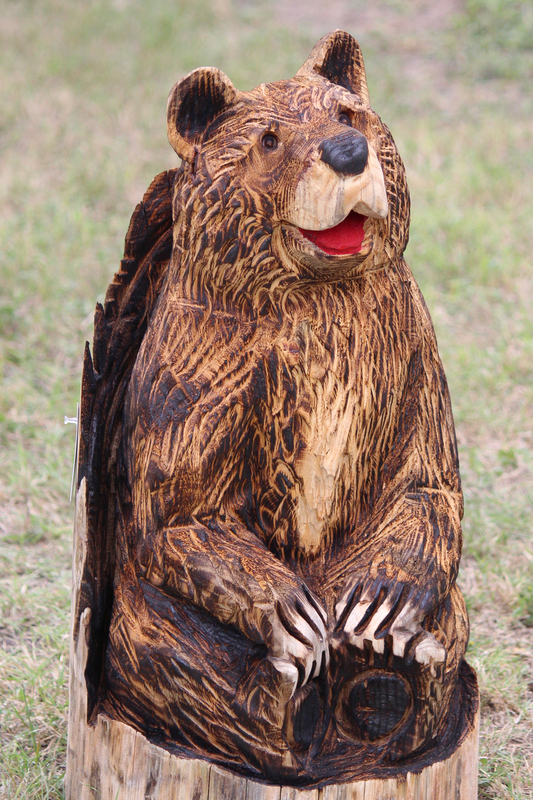 After lunch a return trip to the TEDTEA show grounds. 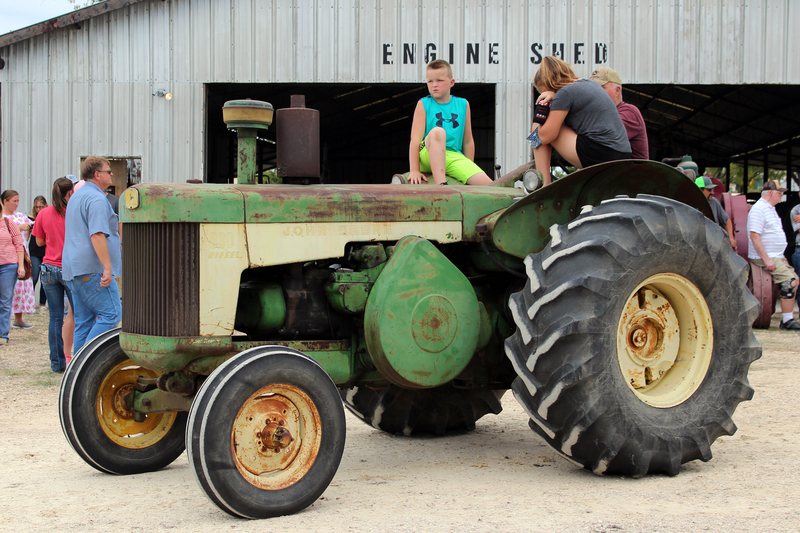 Cost for the ride is $15 for Members per tractor/driver, $25 for Non Members per tractor/driver and $10 per person for meal only (“Meal only” participants need to make arrangements to meet the group at Hudgens Farm). 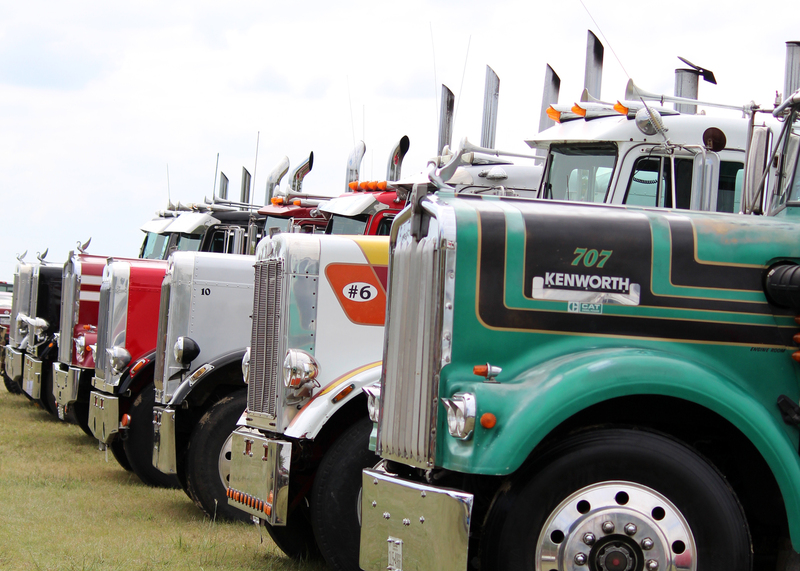 All Drivers MUST be offloaded and in attendance for the Driver Meeting. 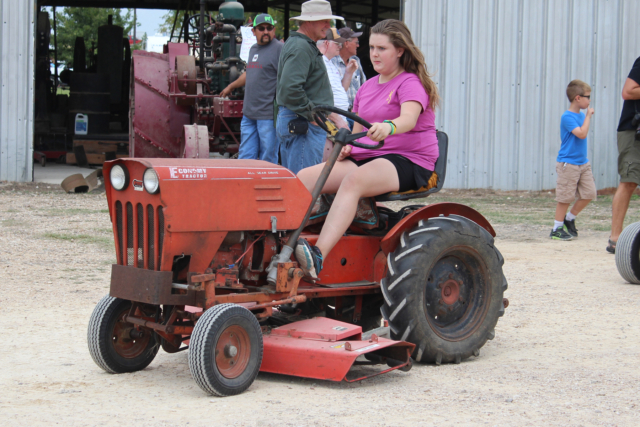 Drivers must be at least 16 years of age and hold a valid driver’s license. Route Info: Route will go from TEDTEA Show Grounds to Hudgens Farm via Lower Troy Rd and Bottom’s East and return via 438 and Berger Rd. 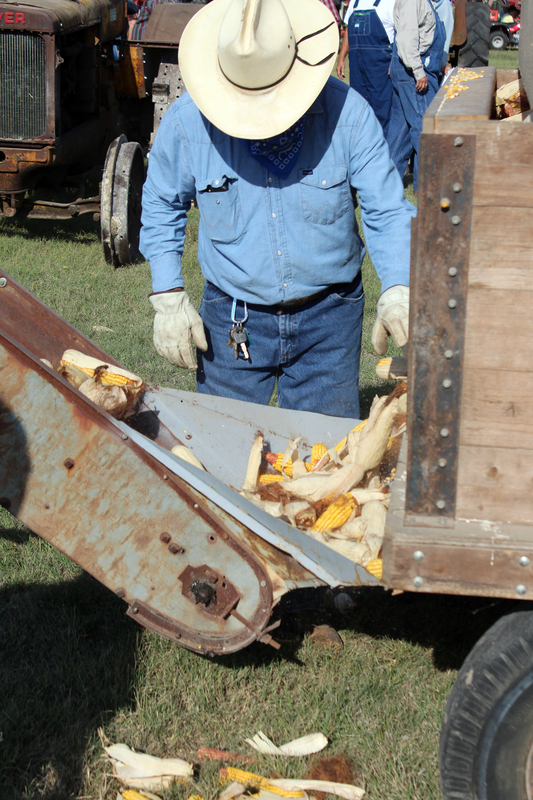 Donald E. Dyer was born May 15, 1926, in Longton, Kansas to Frank and Lorena Dyer. 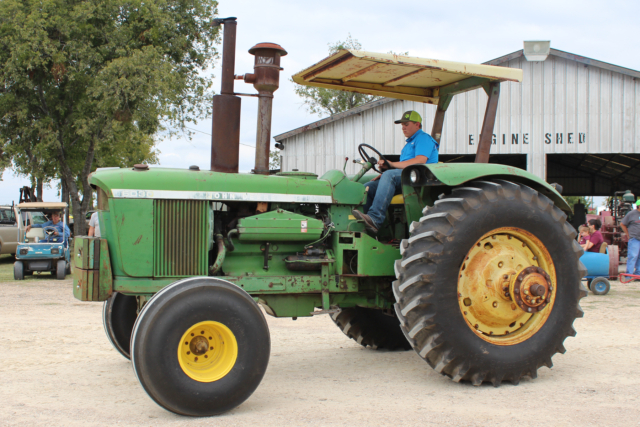 Don grew up on the family farm near Longton, where he and his brother, Pete, learned all about farm life and worked to help the family earn a living. 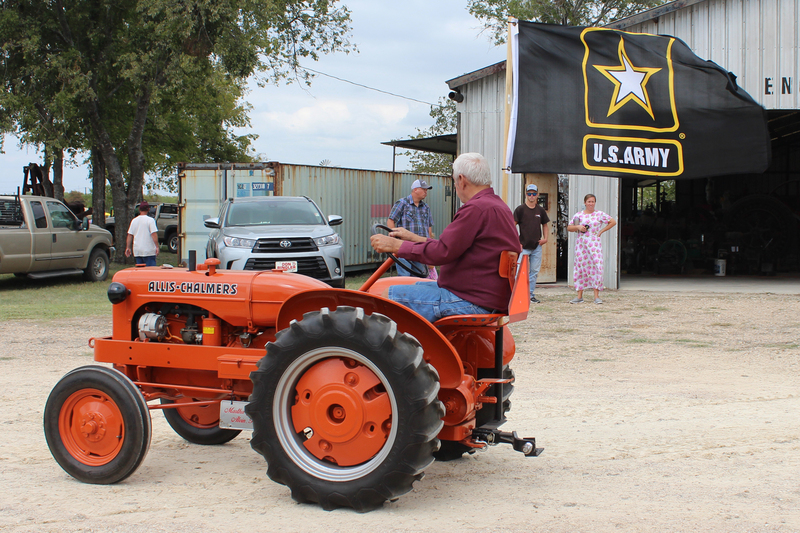 Don served in the U.S. Army, and was deployed to the Philippines just prior to the end of World War II. He later attended Kansas State University, and earned a bachelor’s degree in animal husbandry. 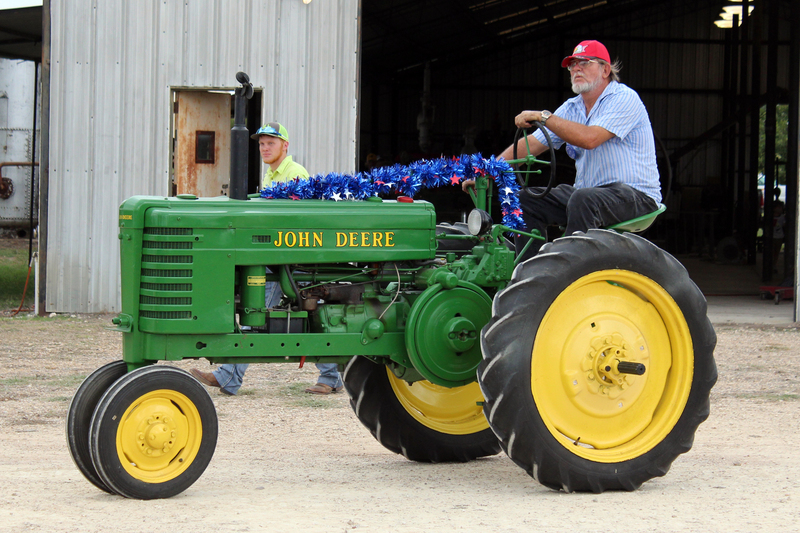 Don married Barbara Jean Hess from Sedan, Kansas. 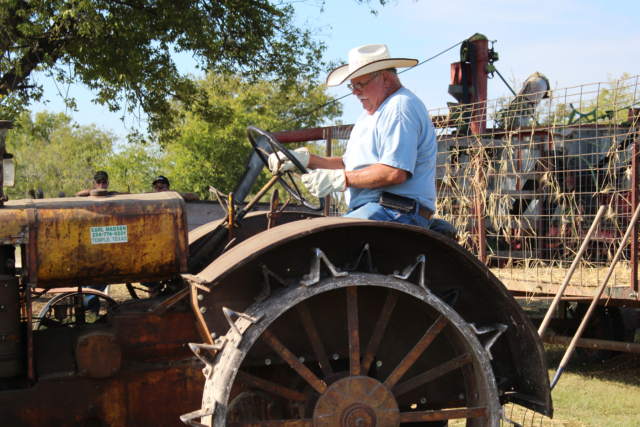 Don and Barbara had two children, Jim and Janet Dyer, and migrated from Kansas to Oklahoma, and later to Texas. 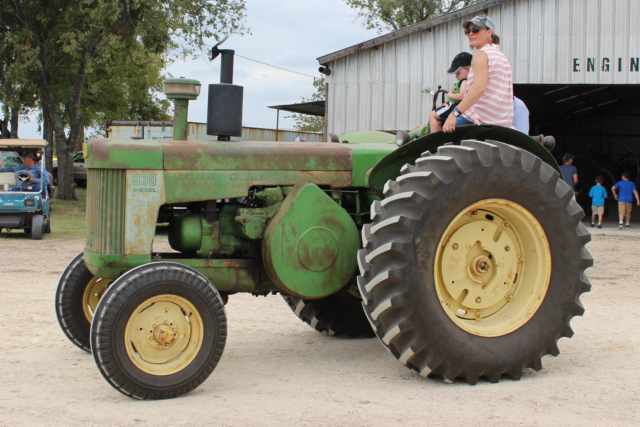 Don and Barbara eventually settled into a country home near China Spring, Texas. 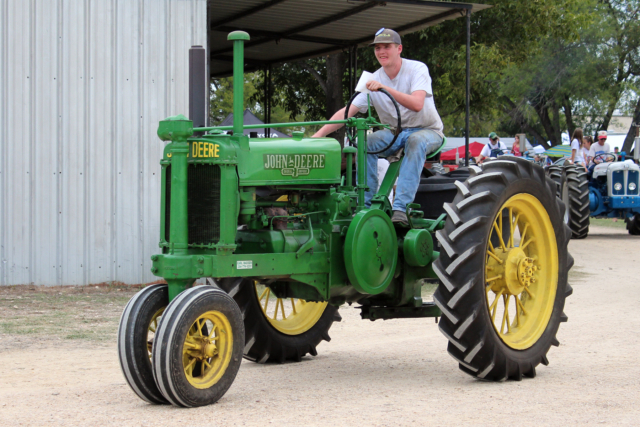 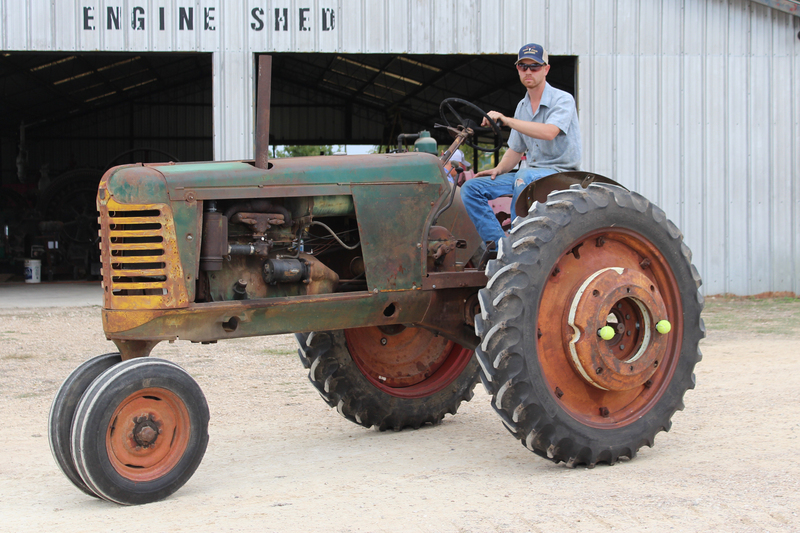 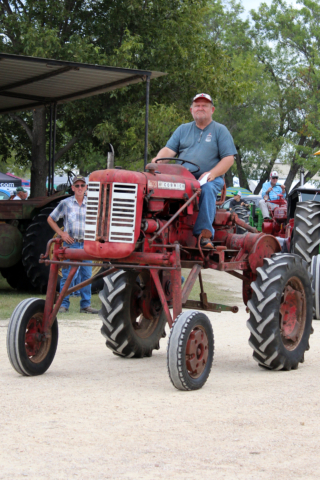 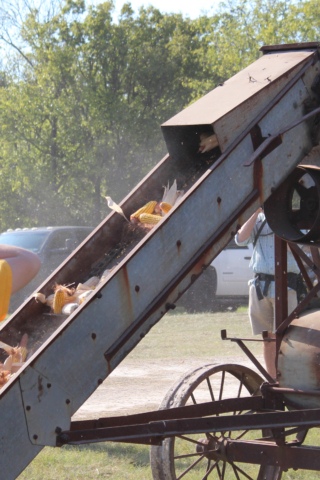 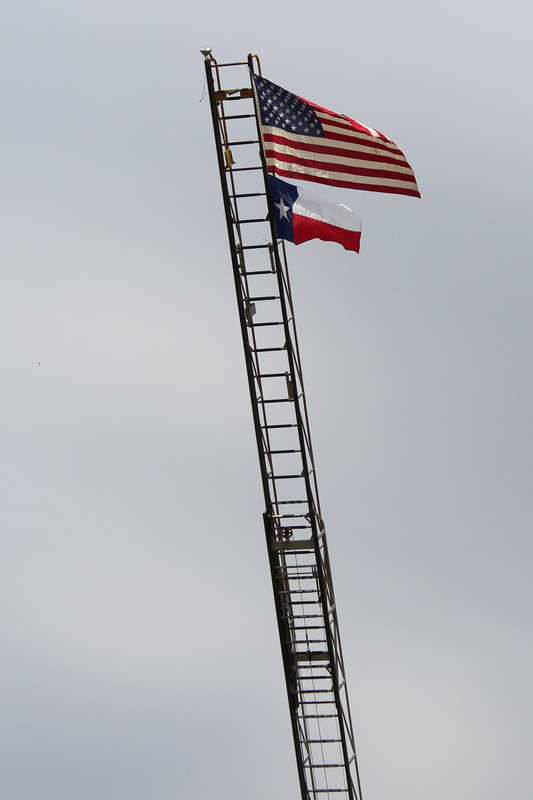 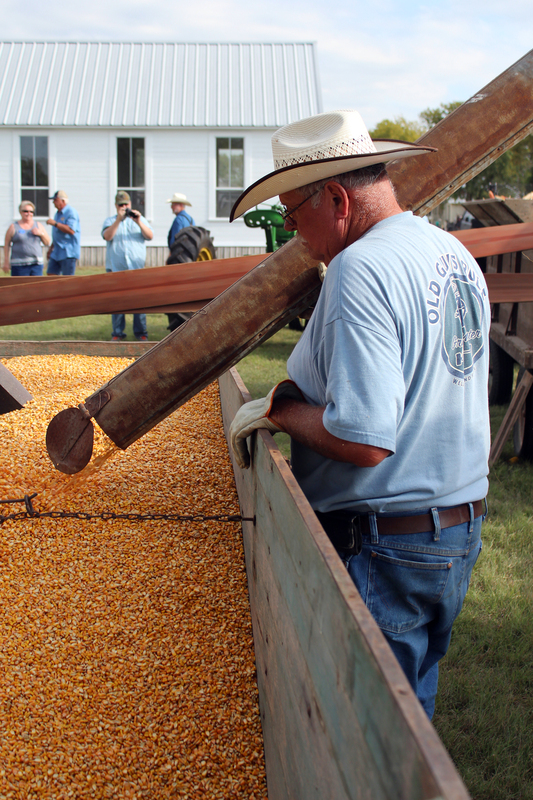 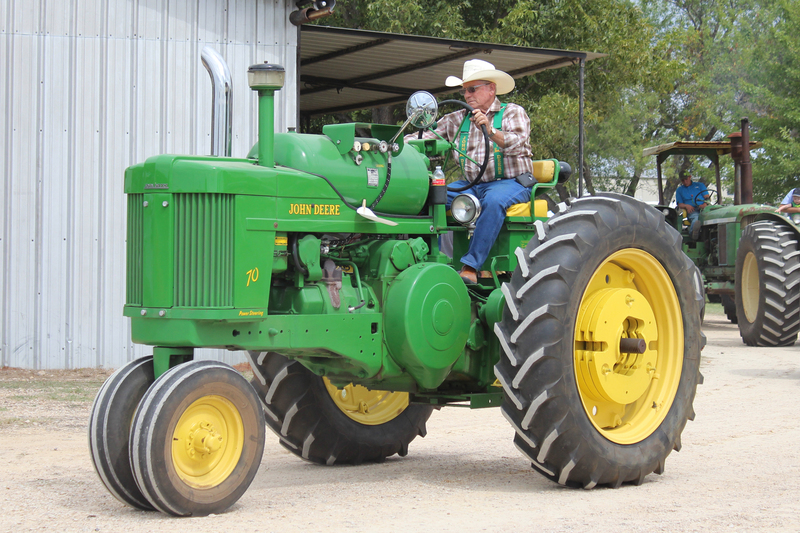 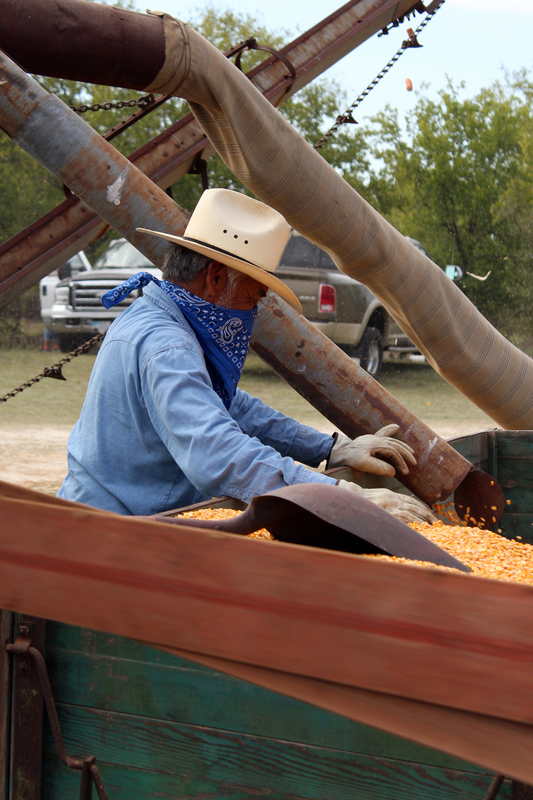 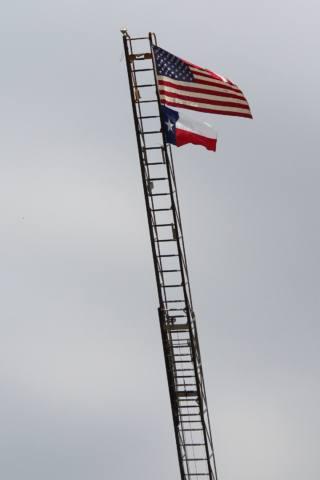 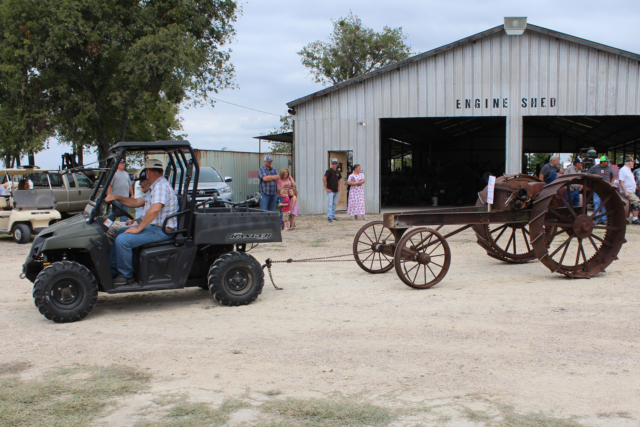 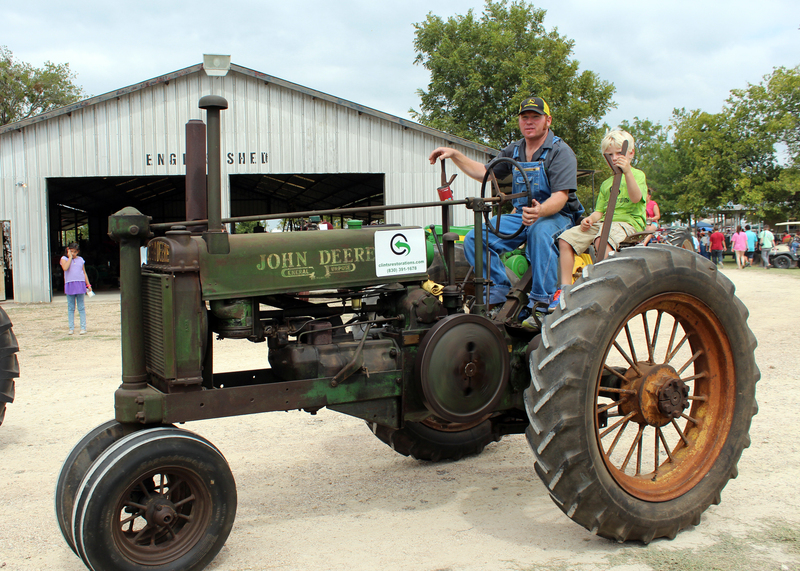 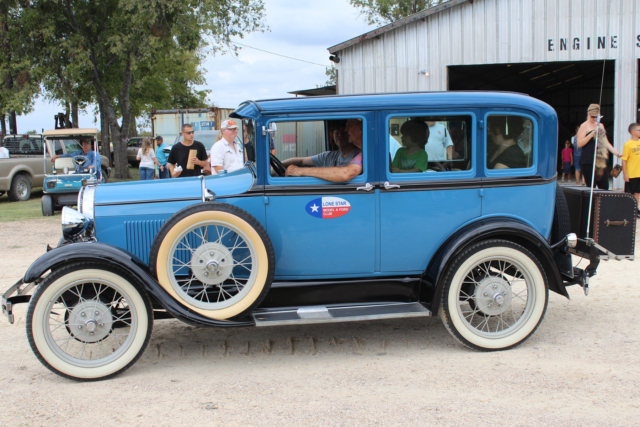 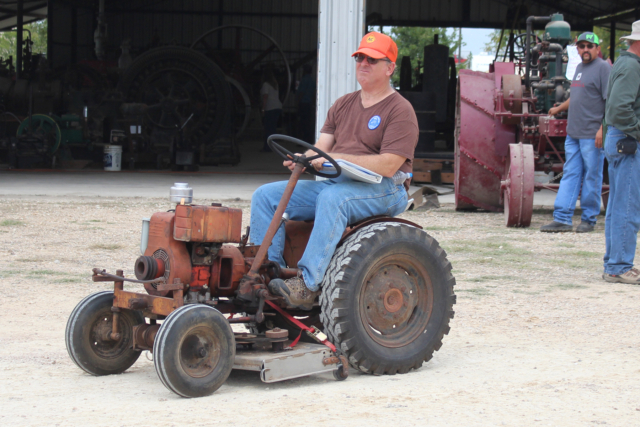 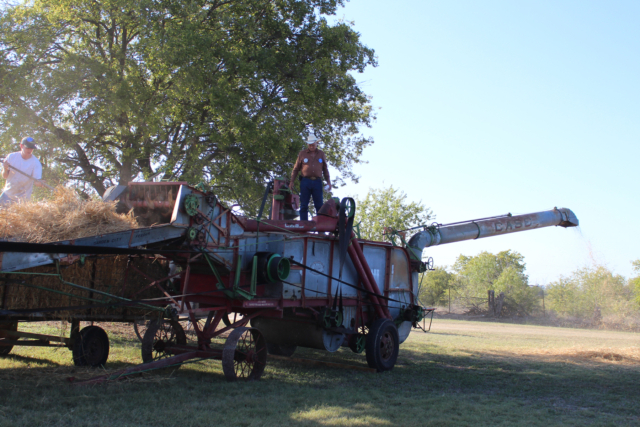 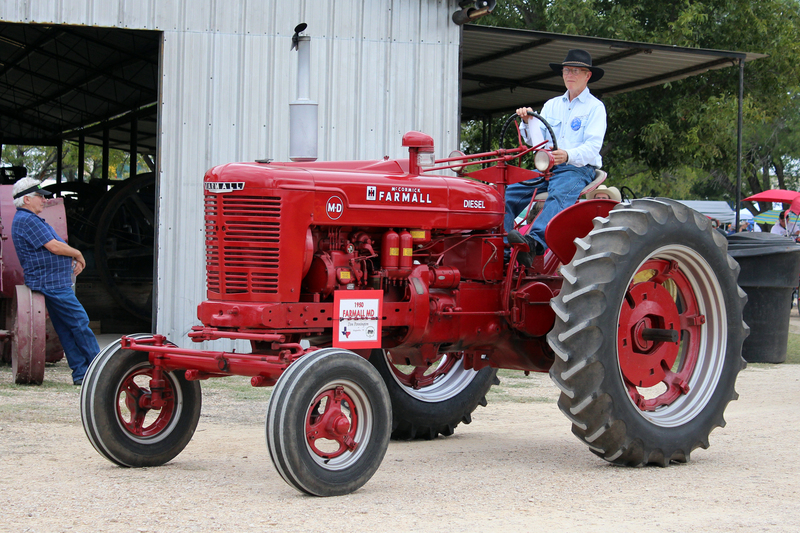 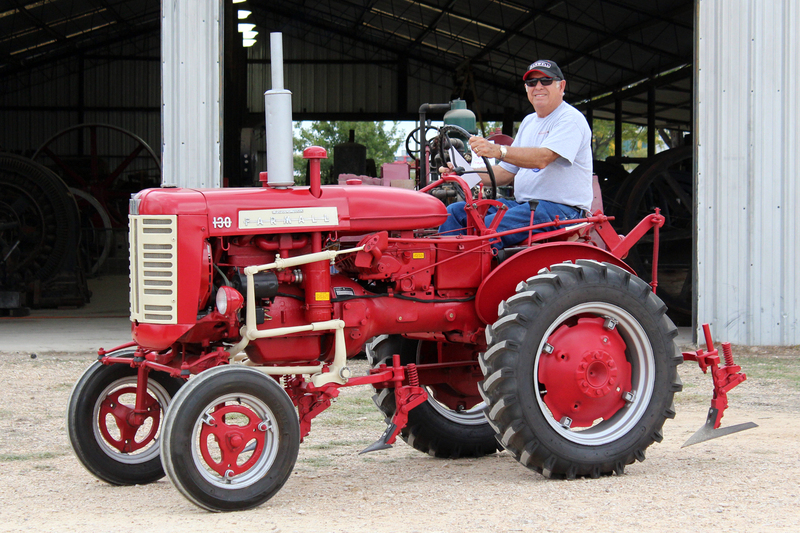 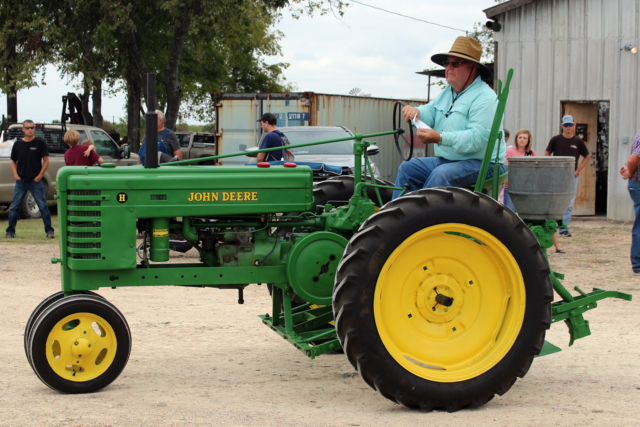 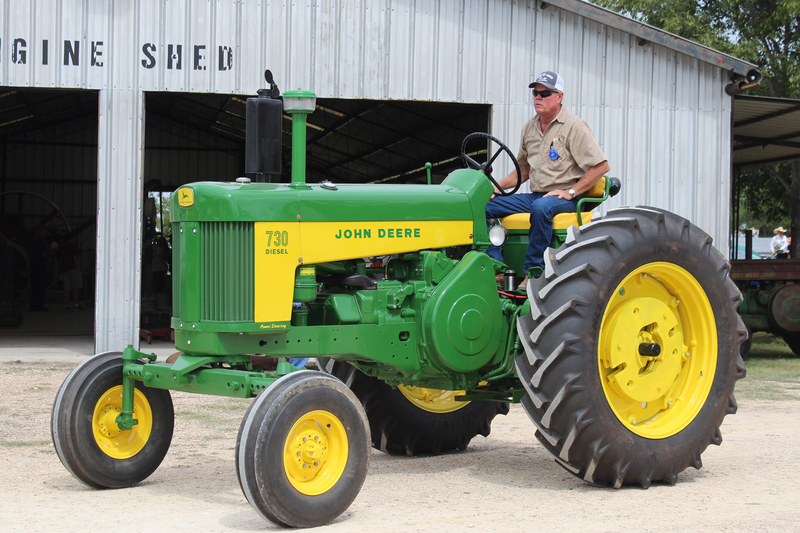 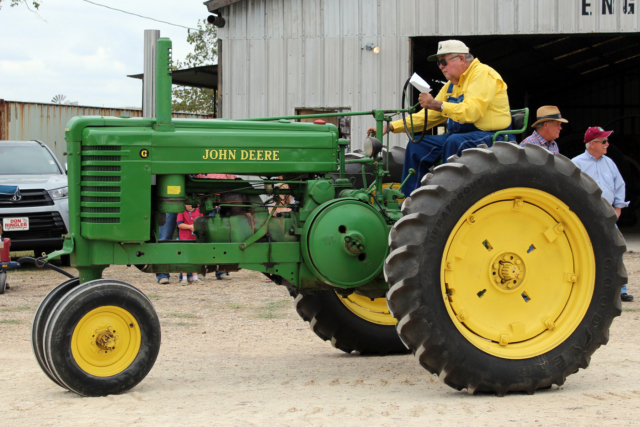 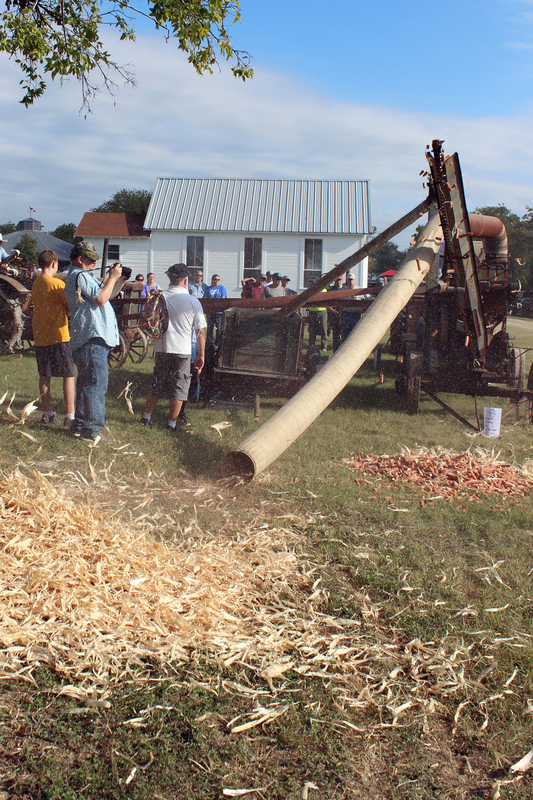 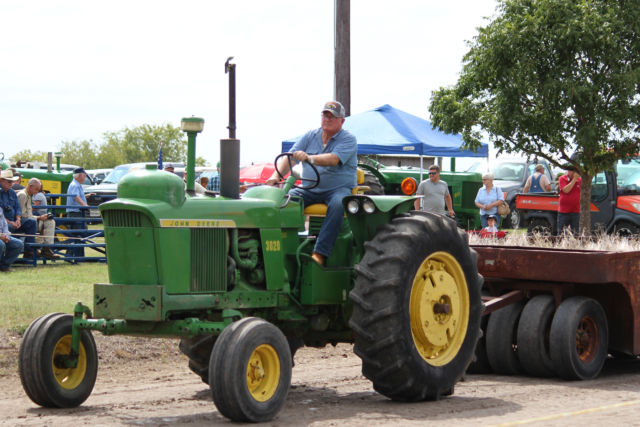 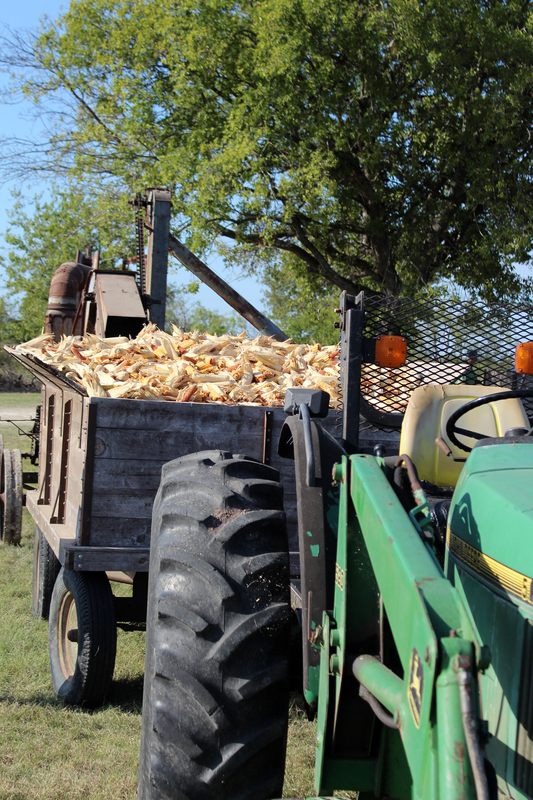 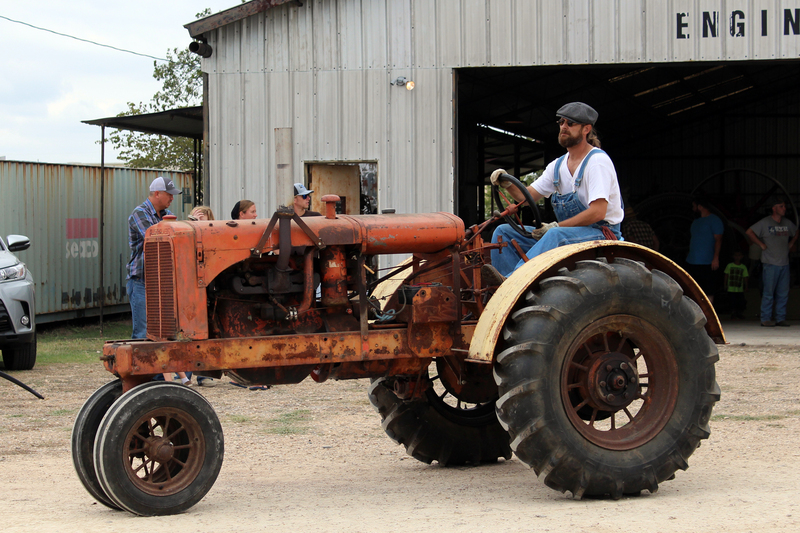 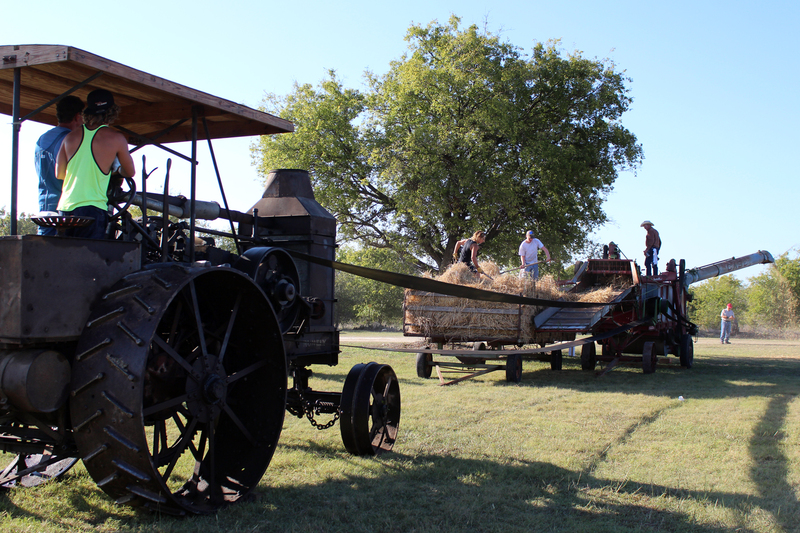 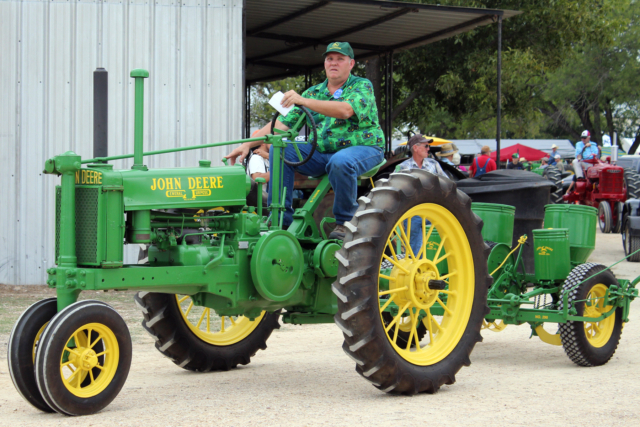 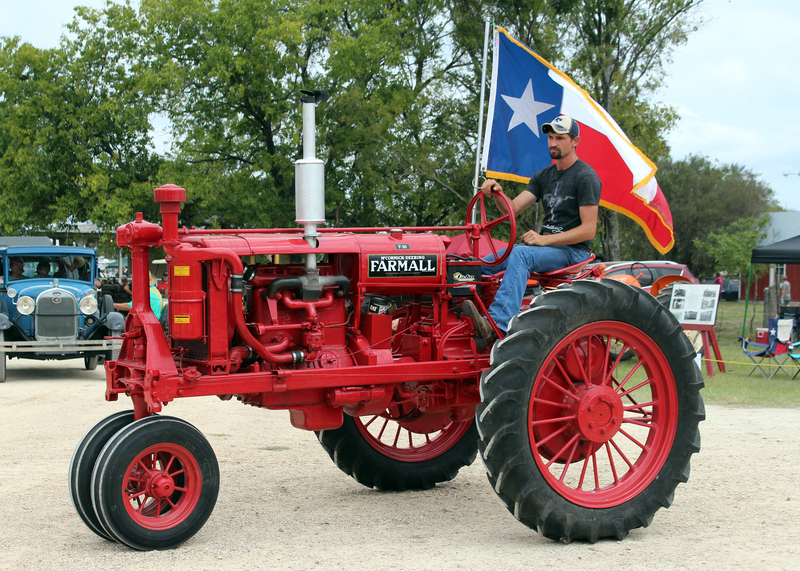 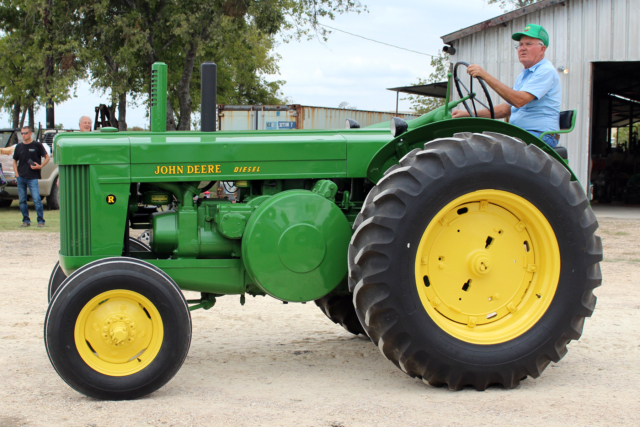 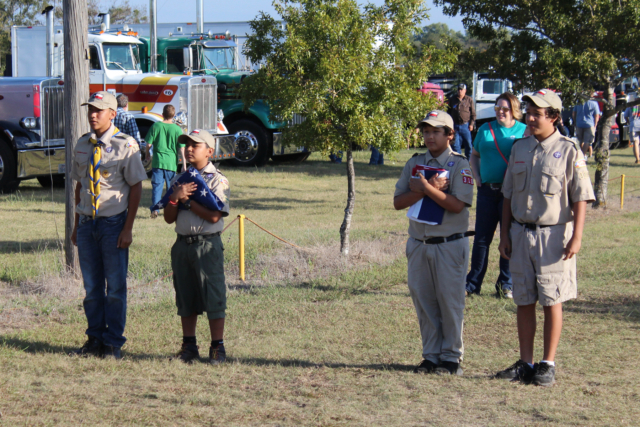 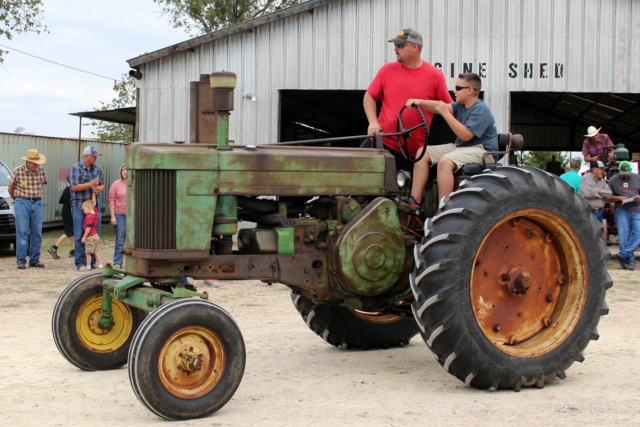 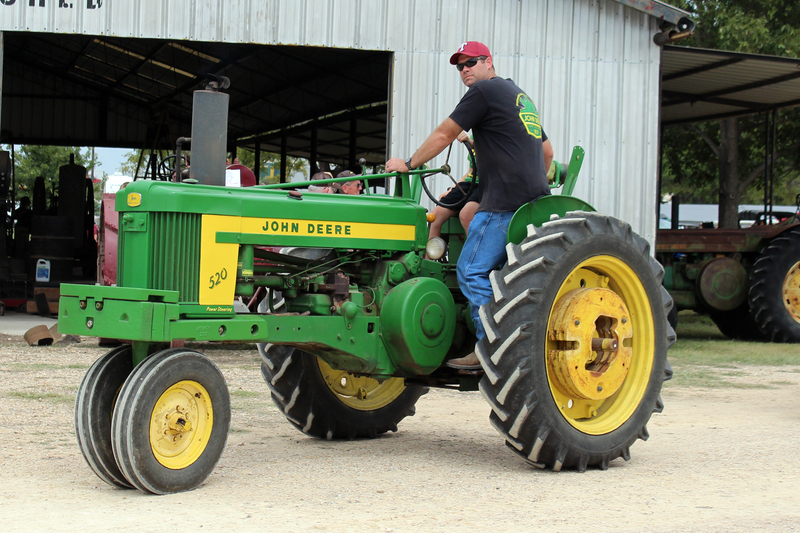 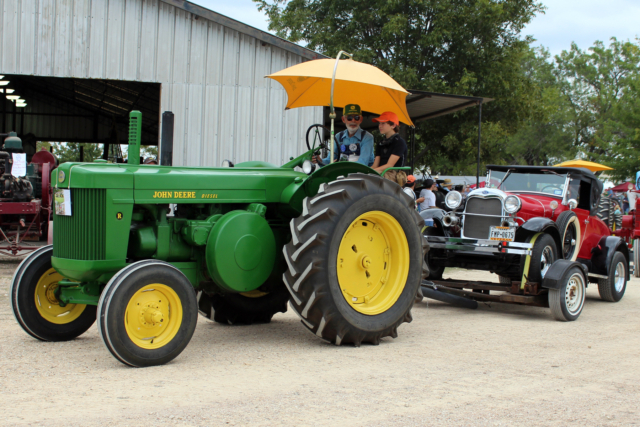 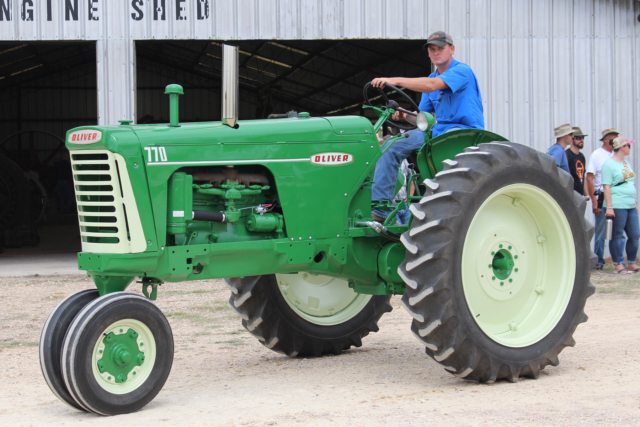 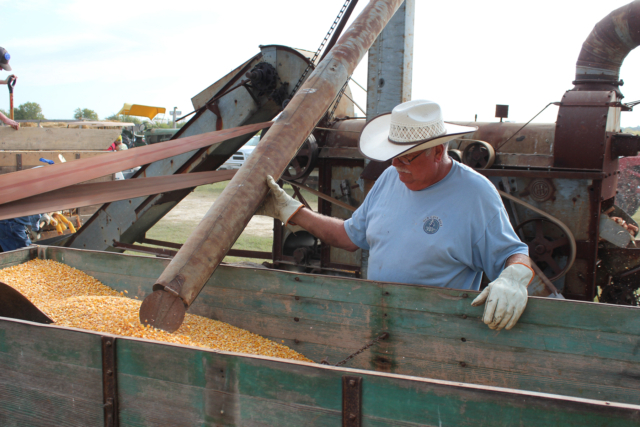 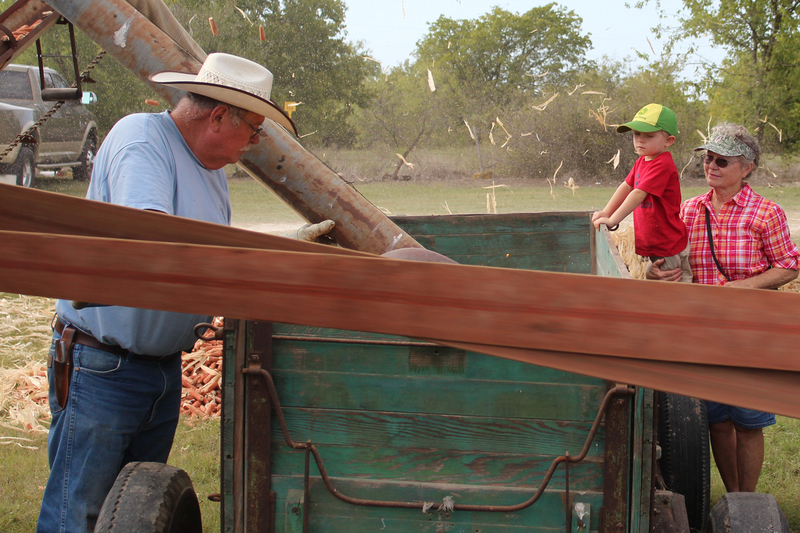 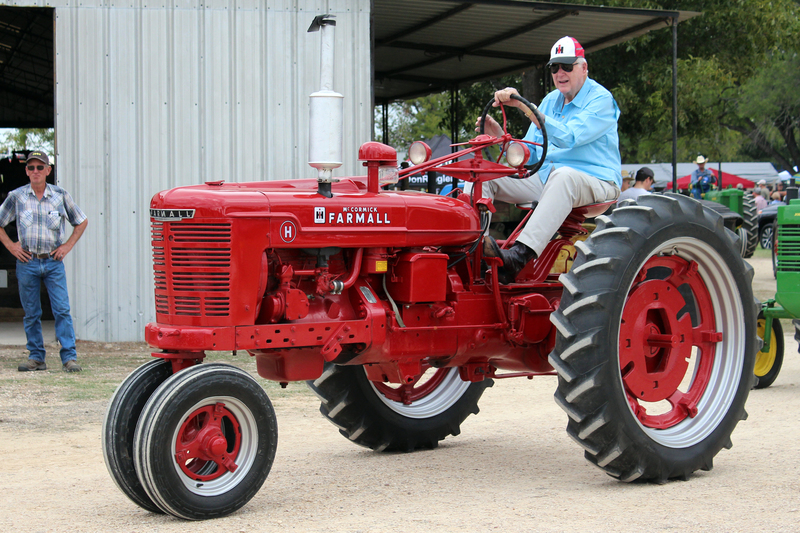 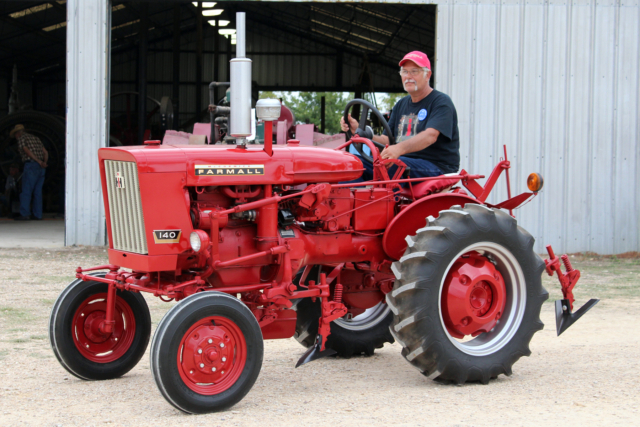 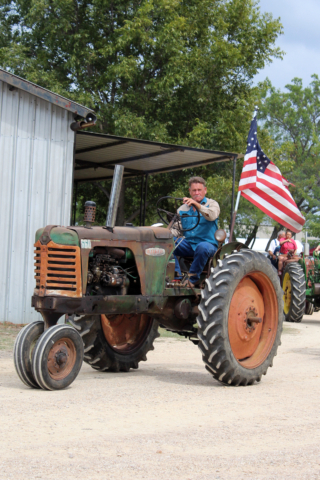 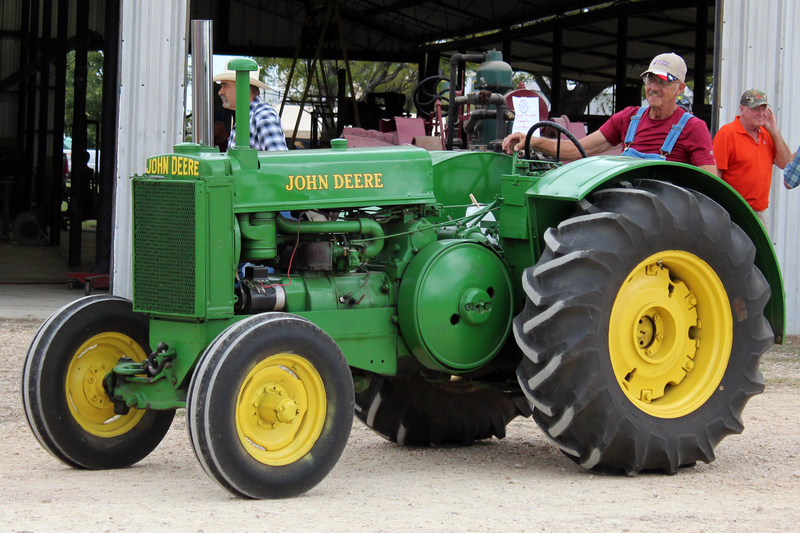 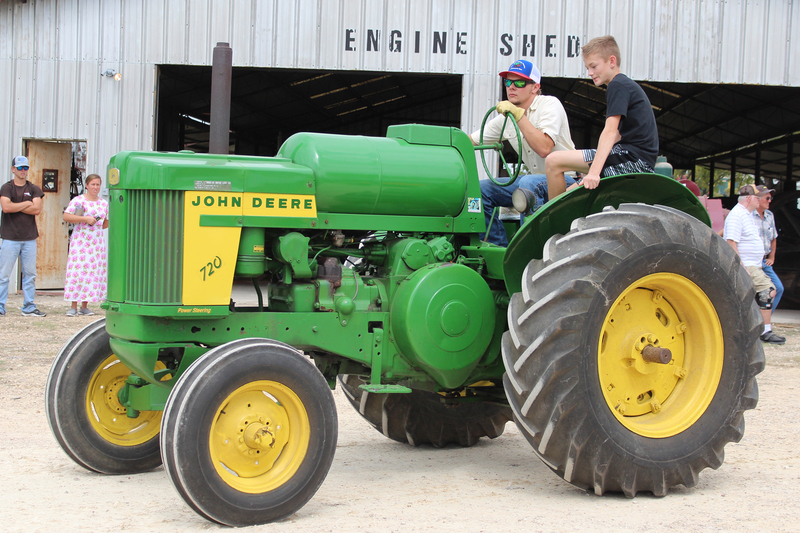 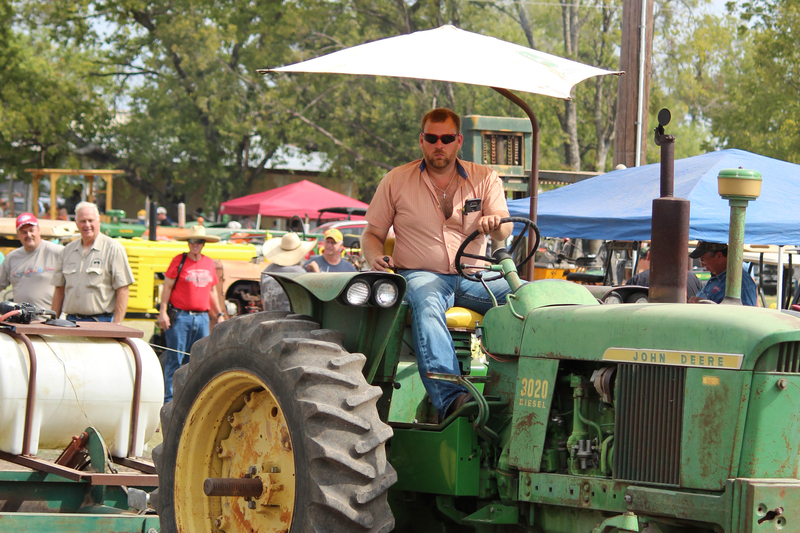 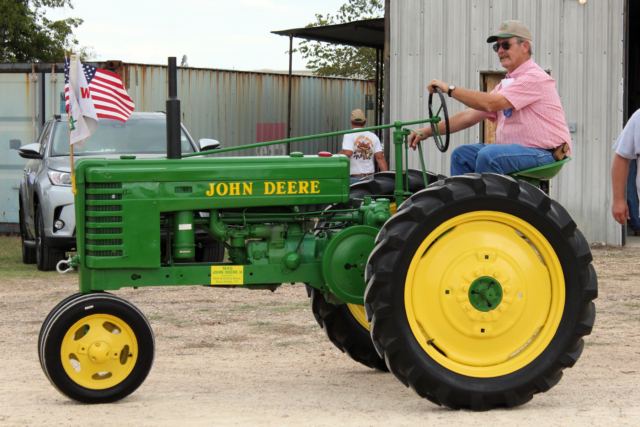 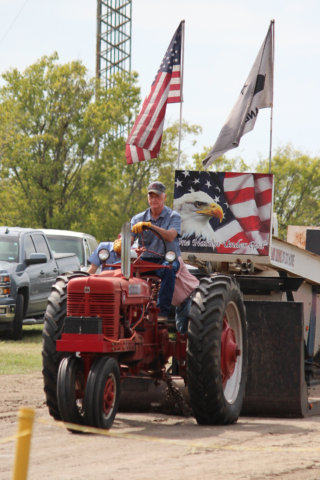 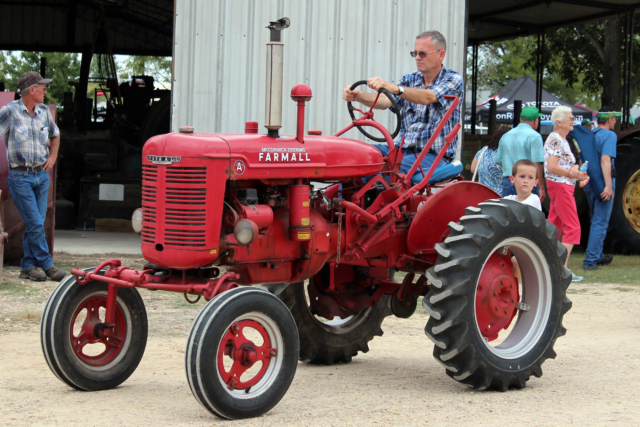 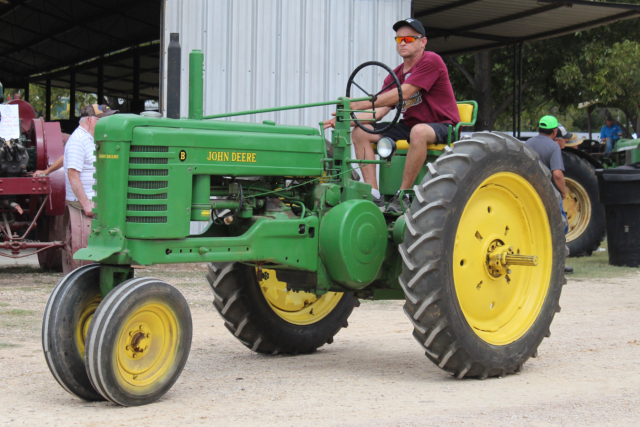 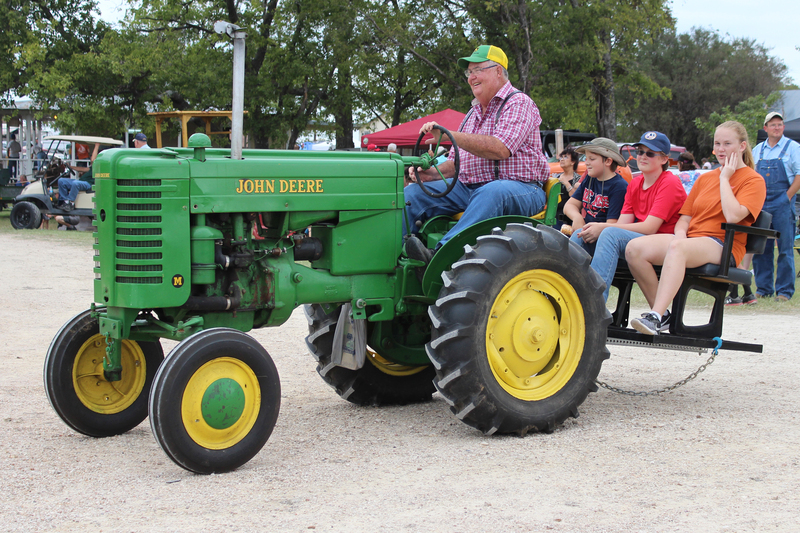 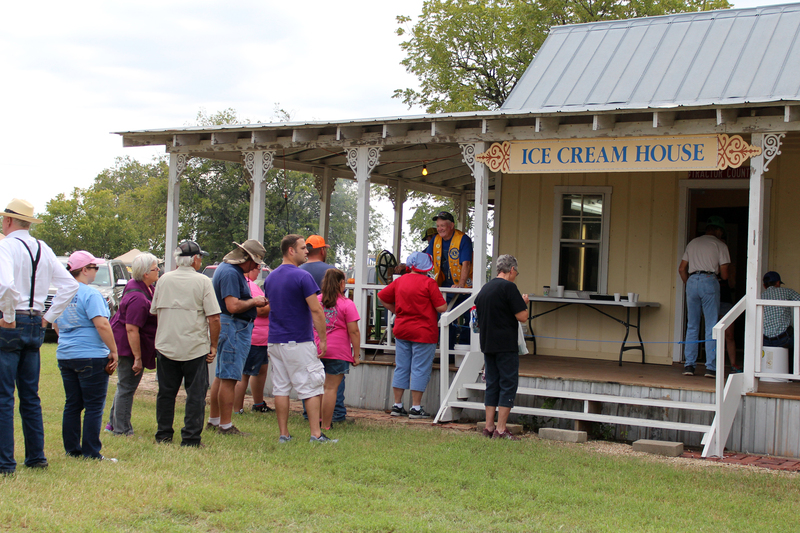 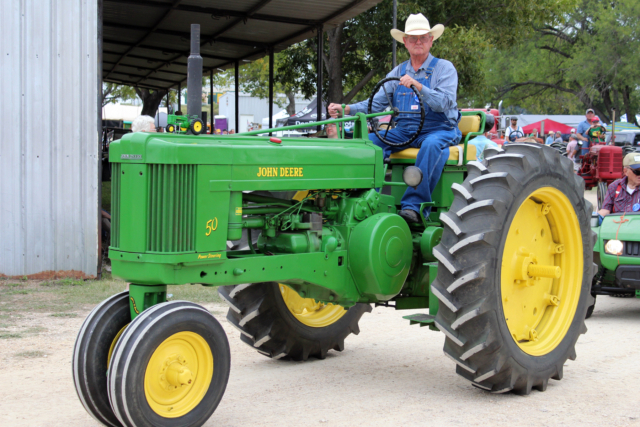 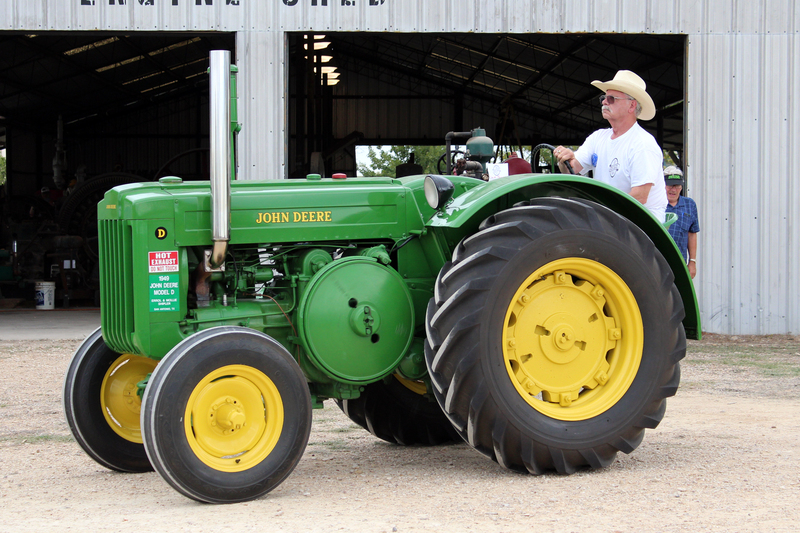 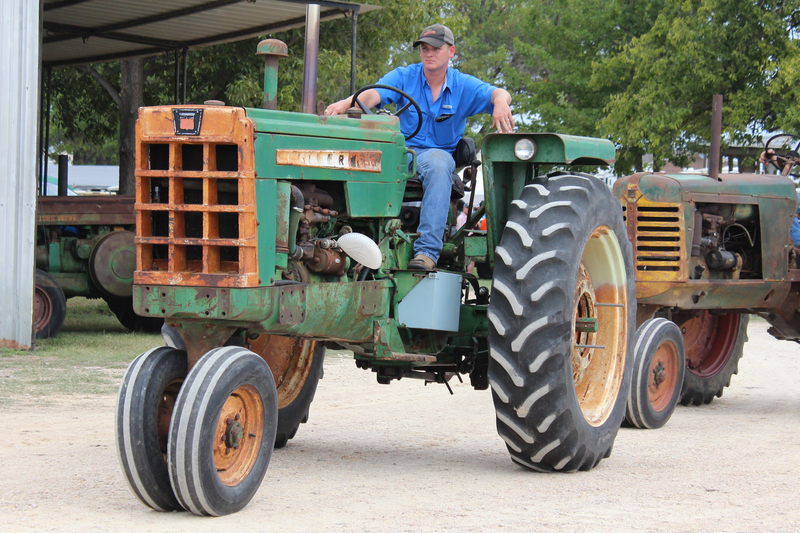 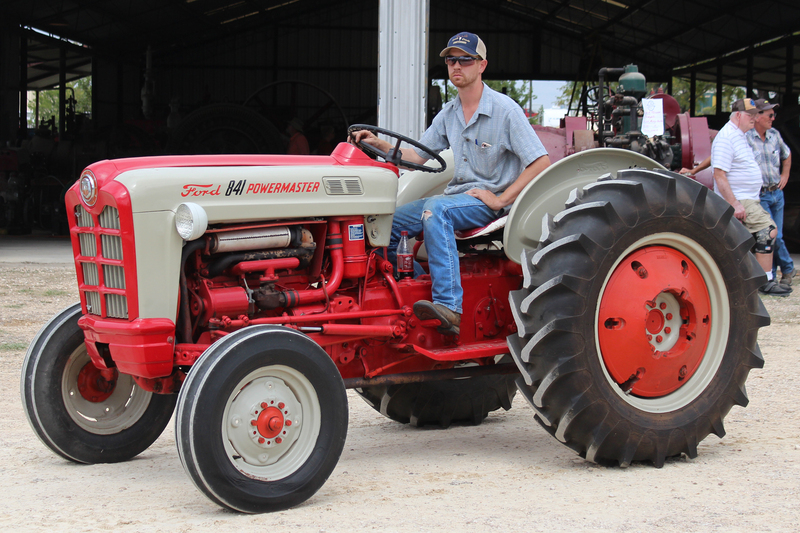 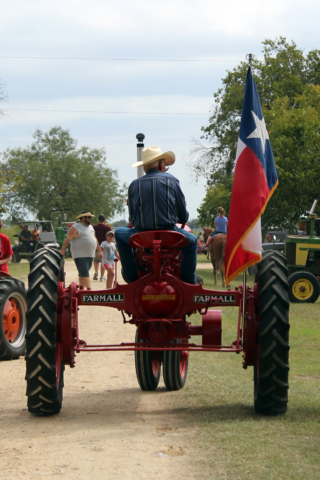 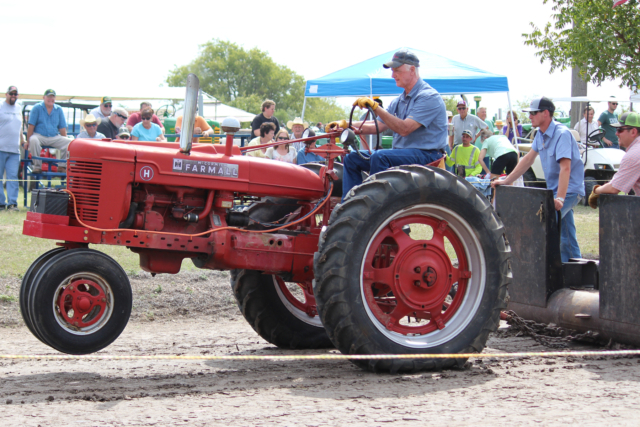 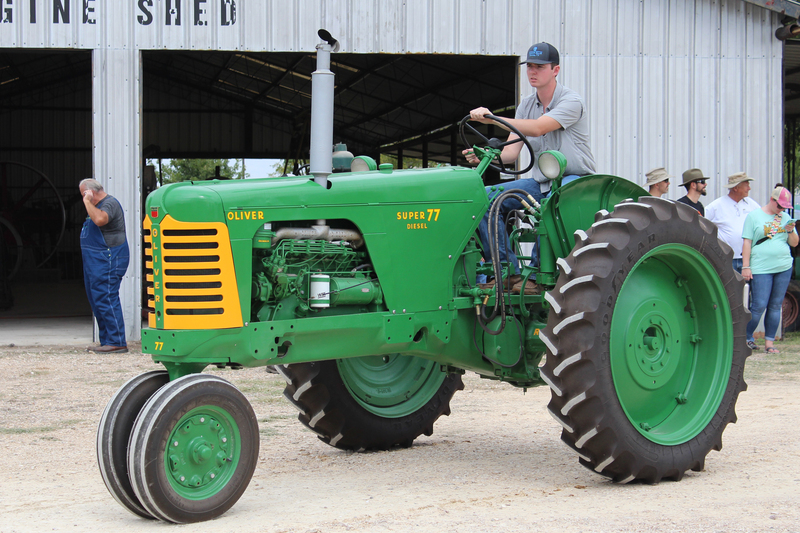 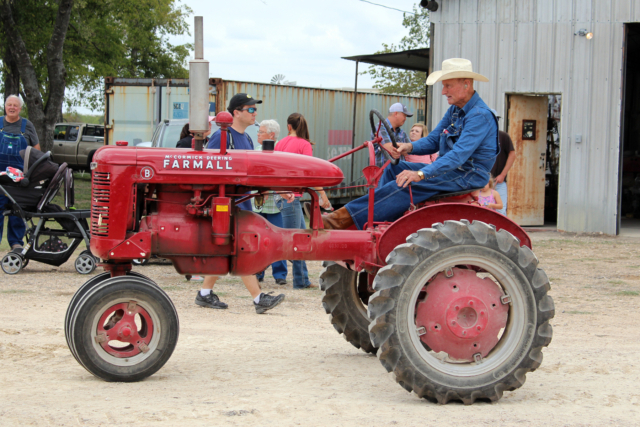 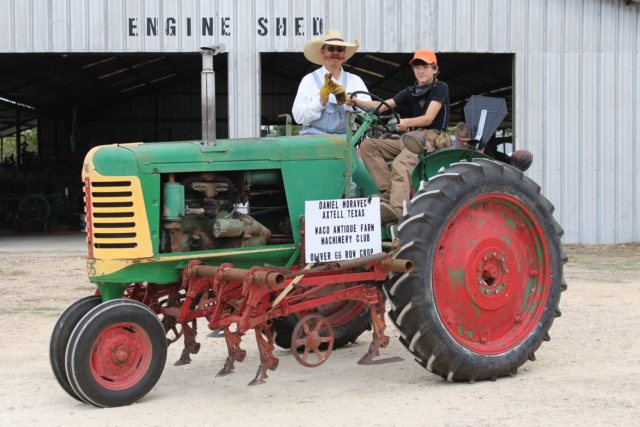 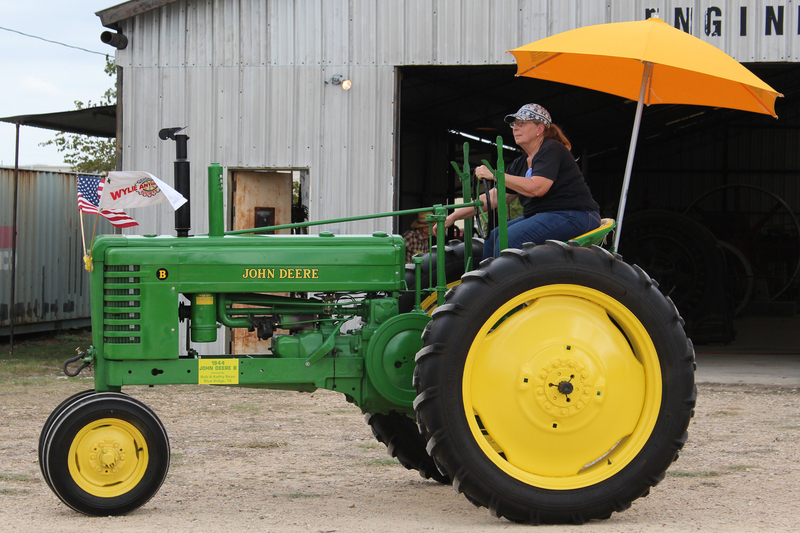 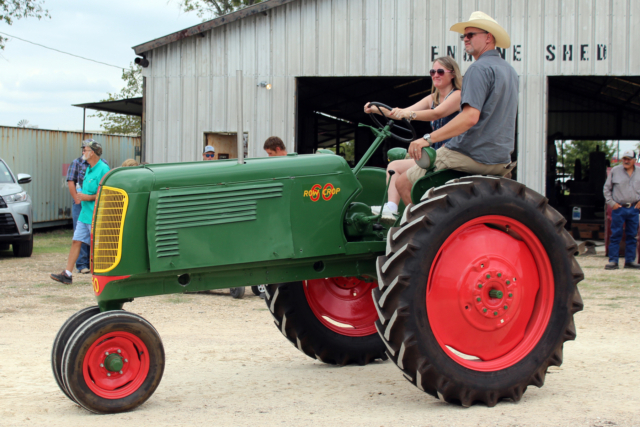 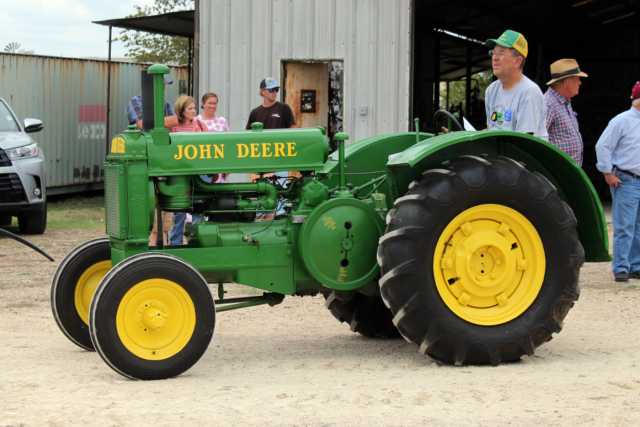 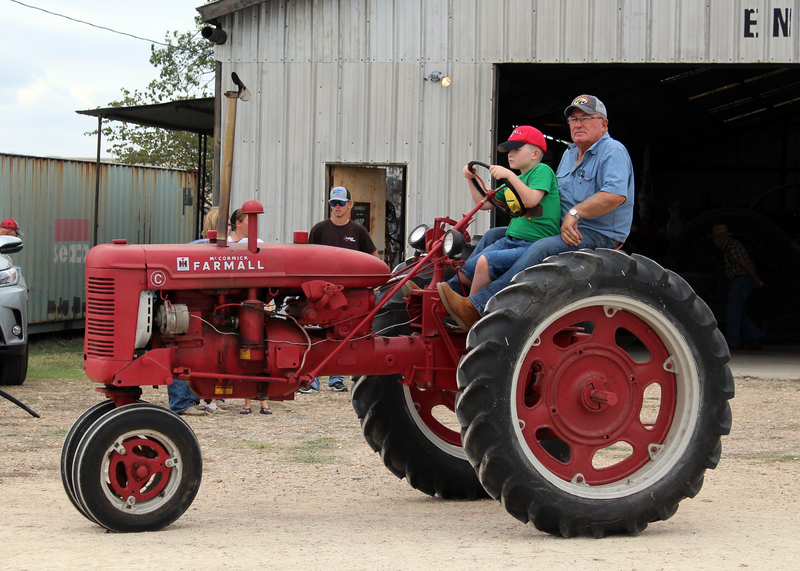 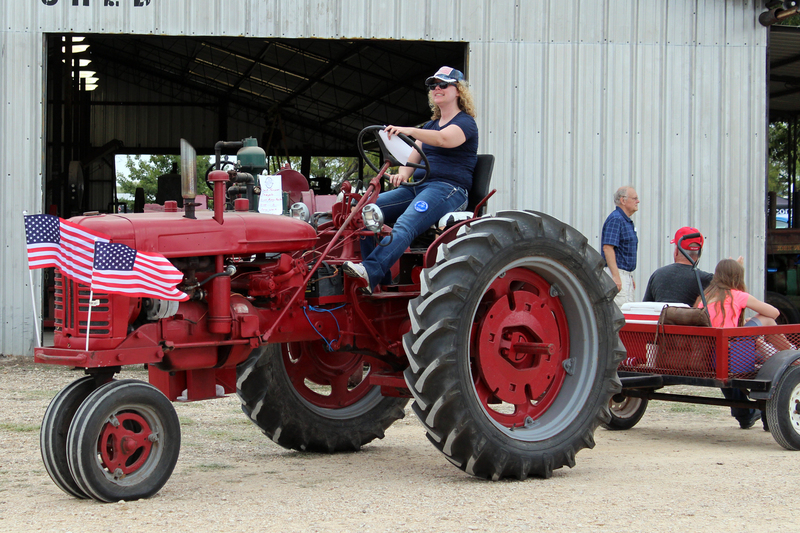 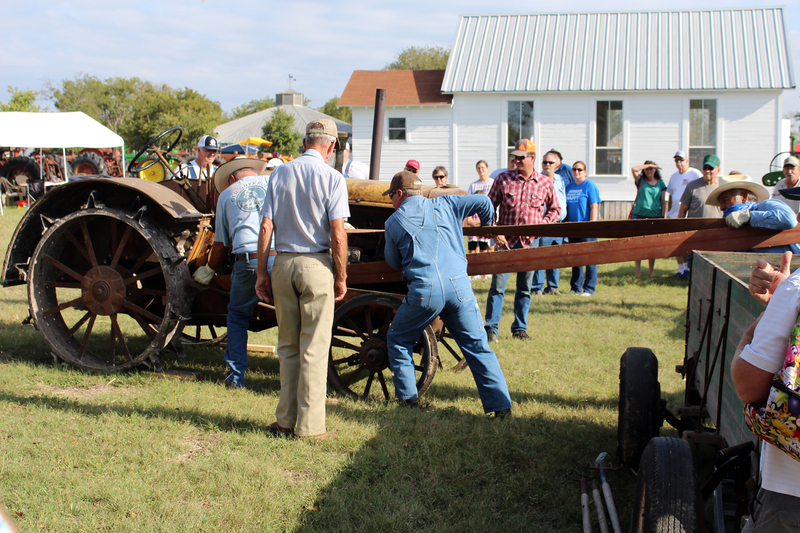 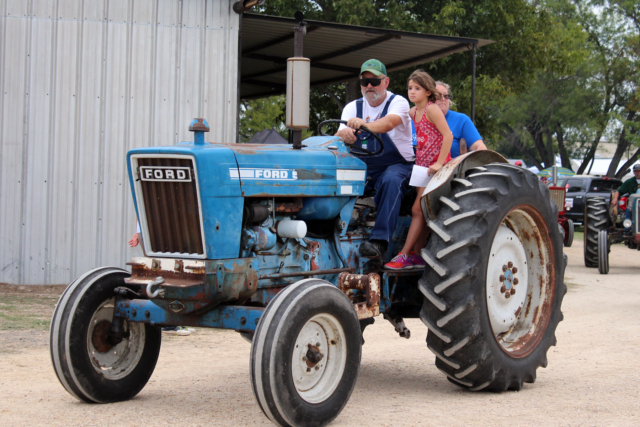 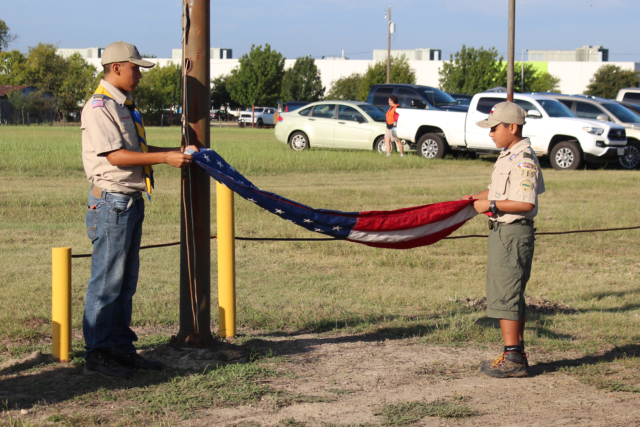 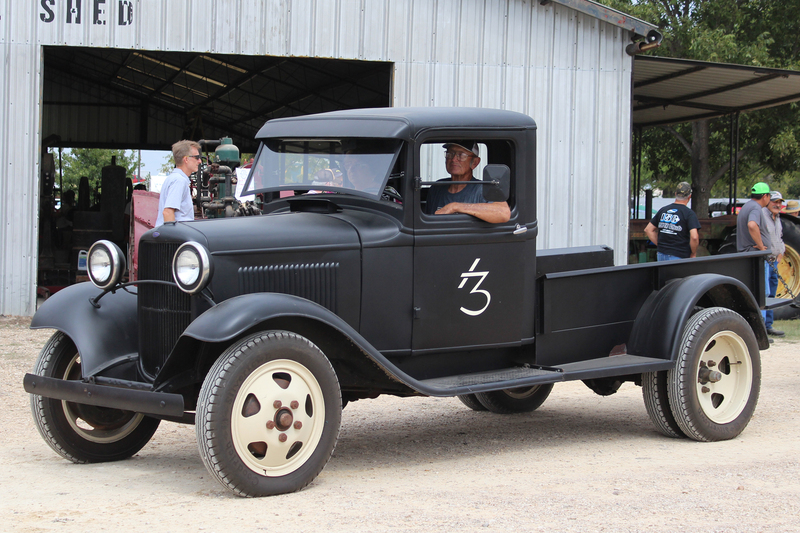 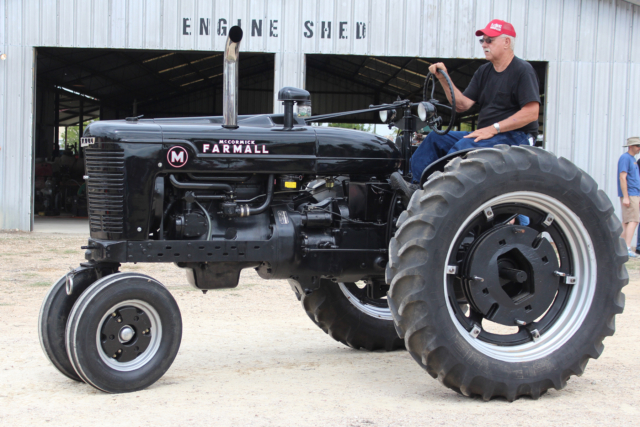 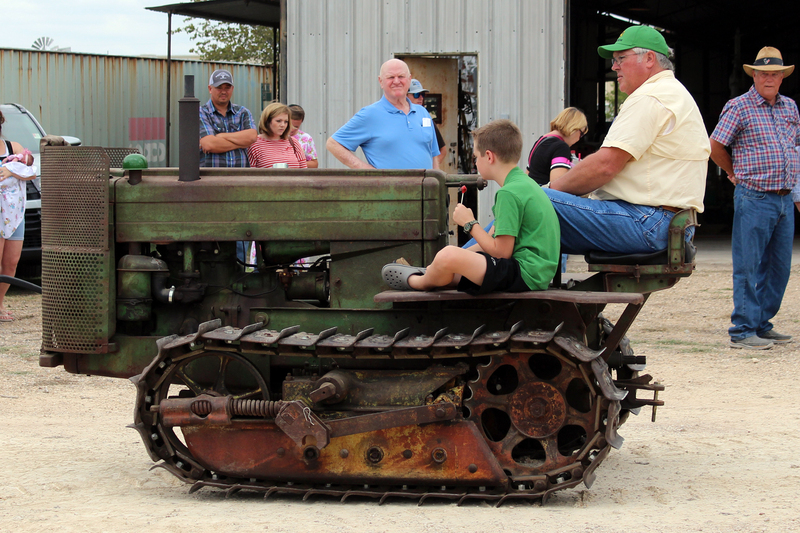 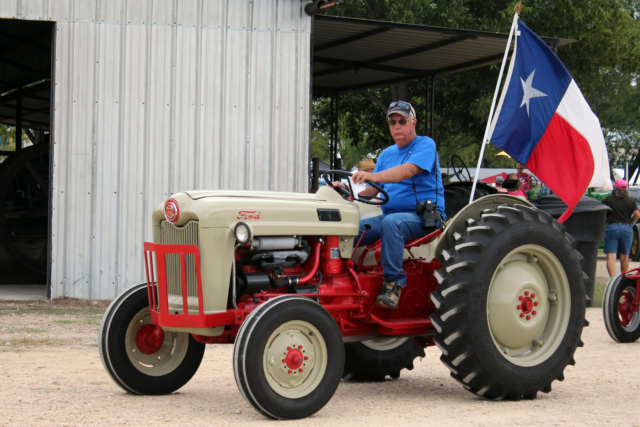 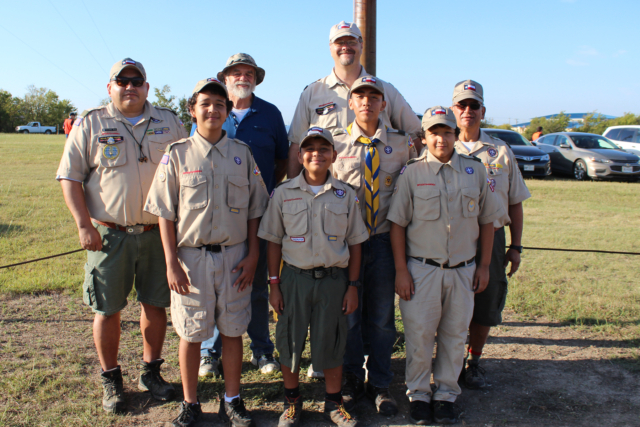 Don was active in community affairs over the years through his memberships in the Lion’s Club, and the Texas Early Day Tractor & Engine Association. He worked at the U.S.D.A. as a Cotton Classer and Market Liaison until he retired. 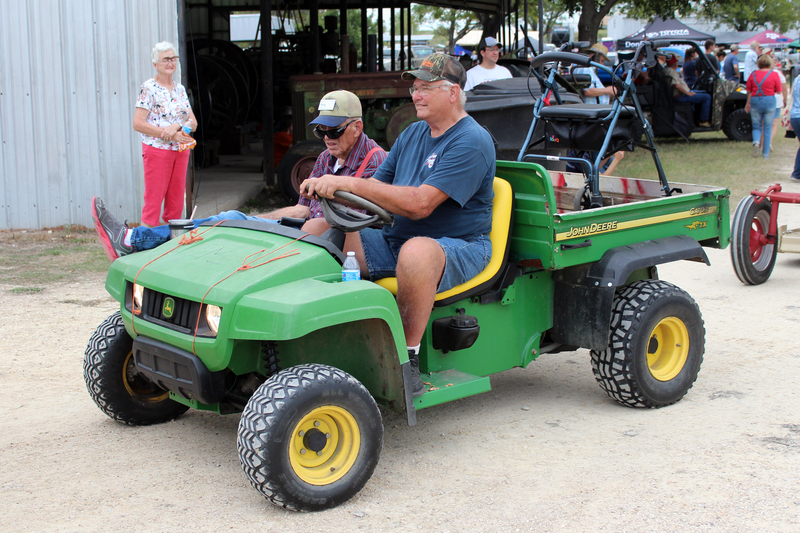 Don also enjoyed being outdoors and working in the woods, which he was able to do for several years through his land clearing and mowing business. 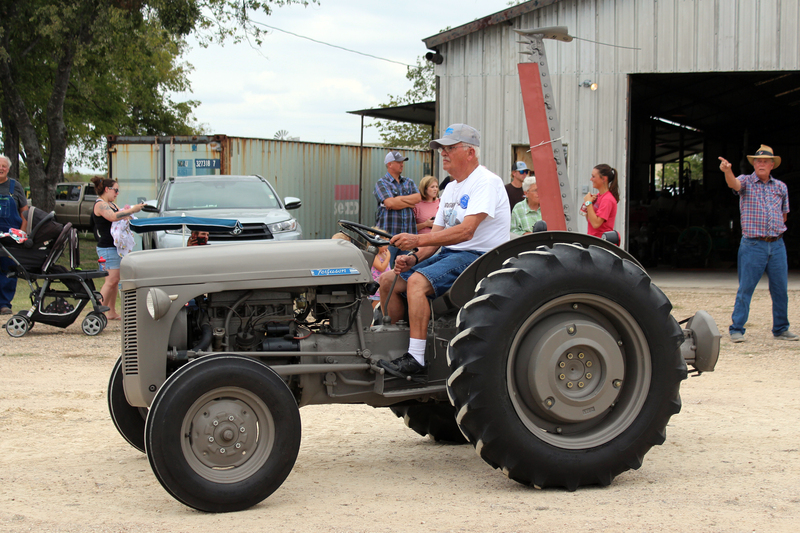 Don is preceded in death by his wife, Barbara. 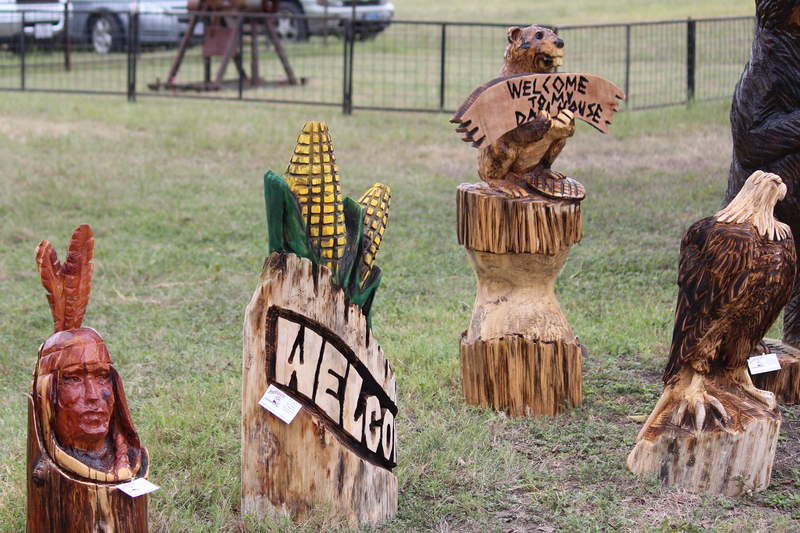 Several years after Barbara’s passing, Don relocated to Conroe, Texas to be closer to Janet and her family. Don is survived by his children, Jim Dyer and Janet Fick, their spouses, Kelly Dyer and Terry Fick, and his brother, Pete Dyer and his wife Jo. 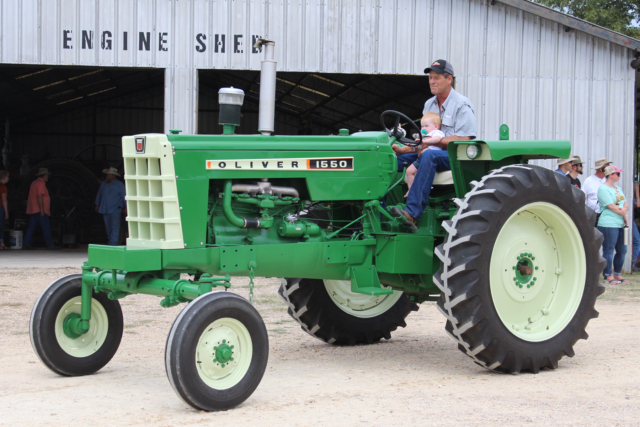 He had five grandchildren, Ben, Amy, Collins, Josephine, and Delphine. 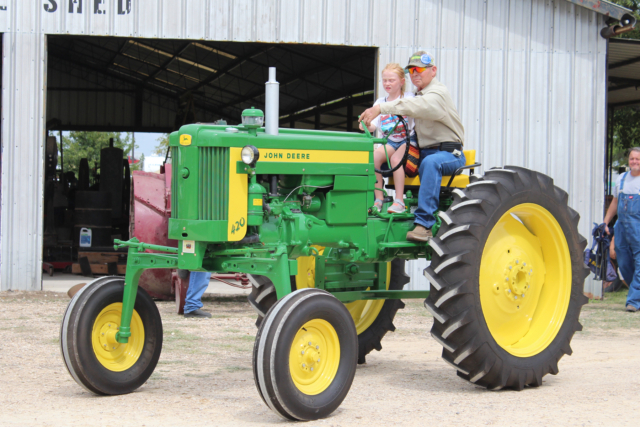 His great granddaughter, Gwendolyn Grace, always brought a smile to his face. 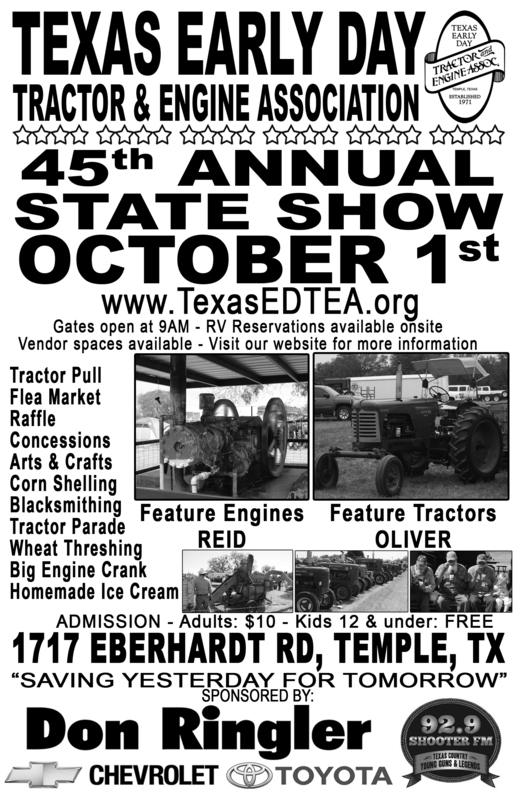 45th TEDTEA Annual State Show Update! 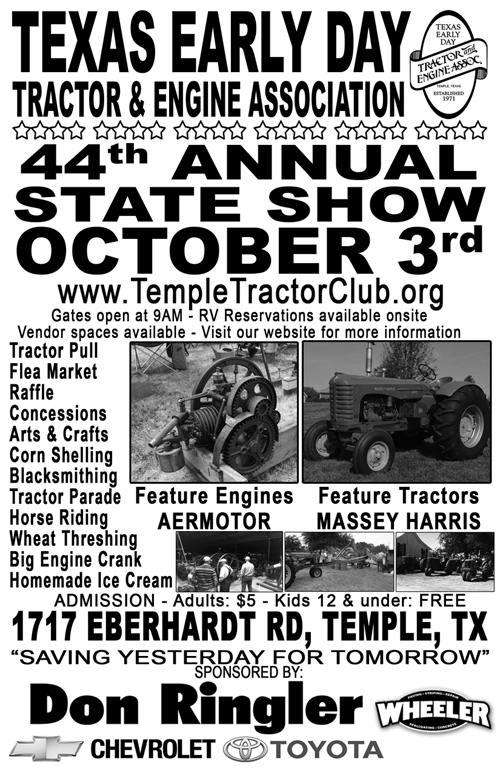 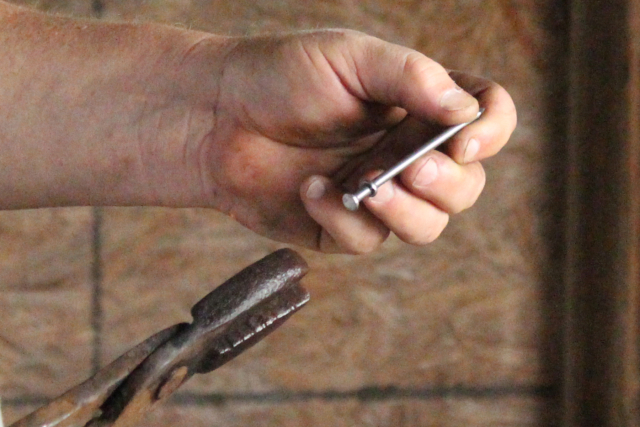 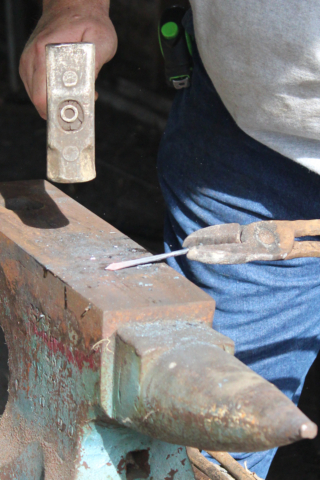 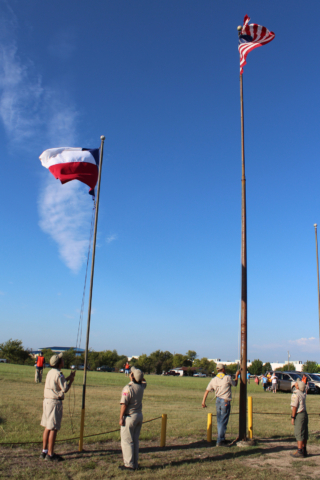 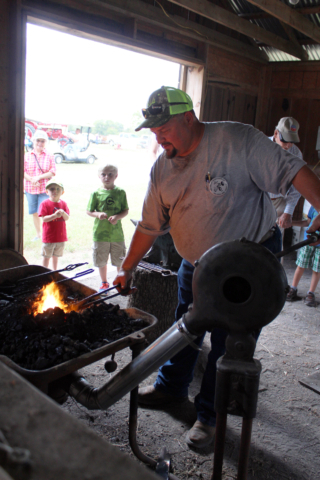 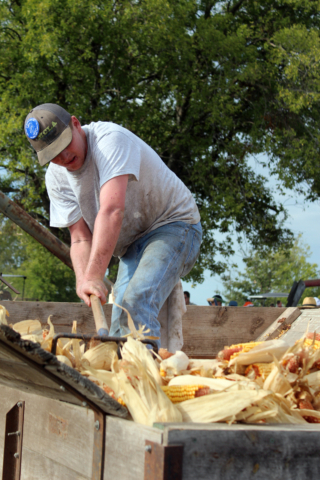 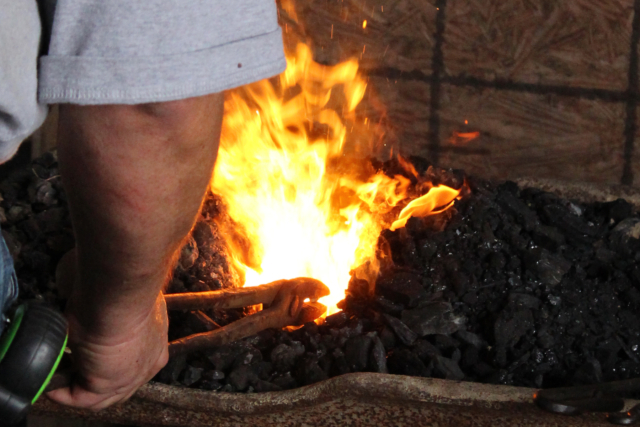 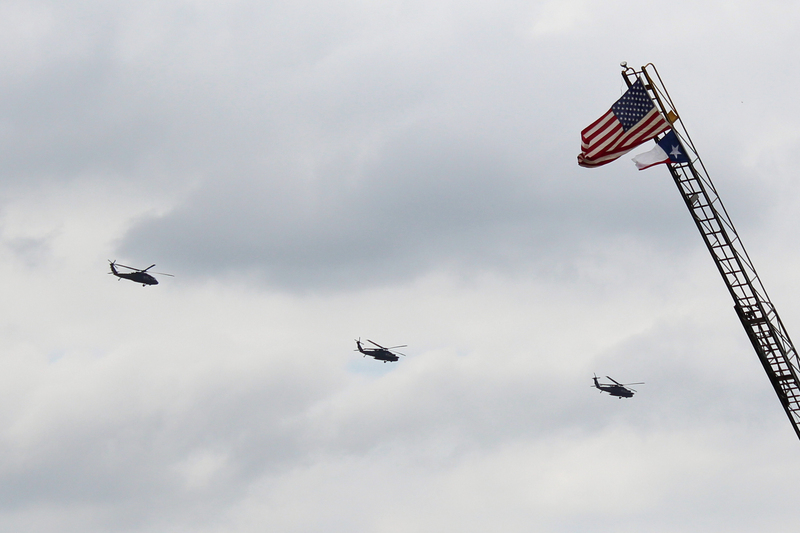 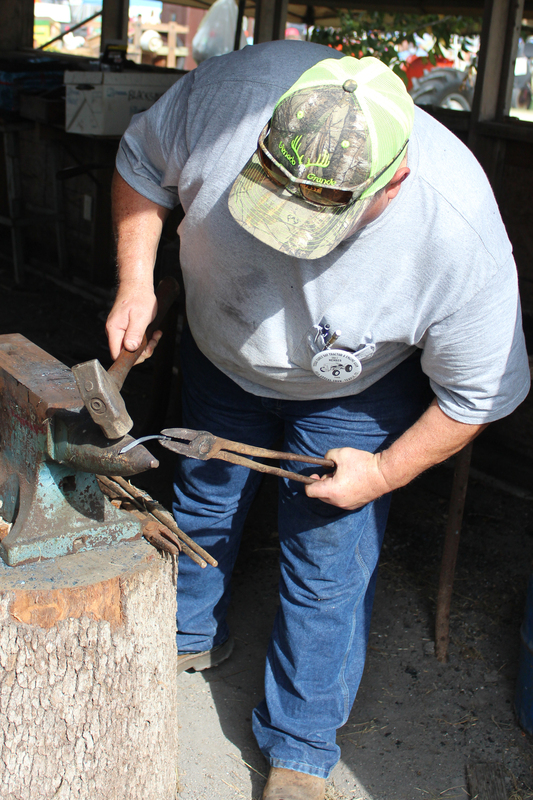 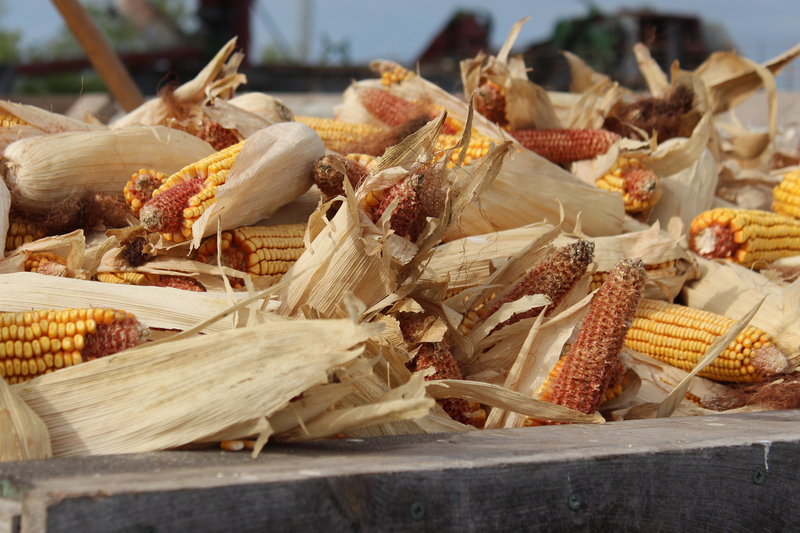 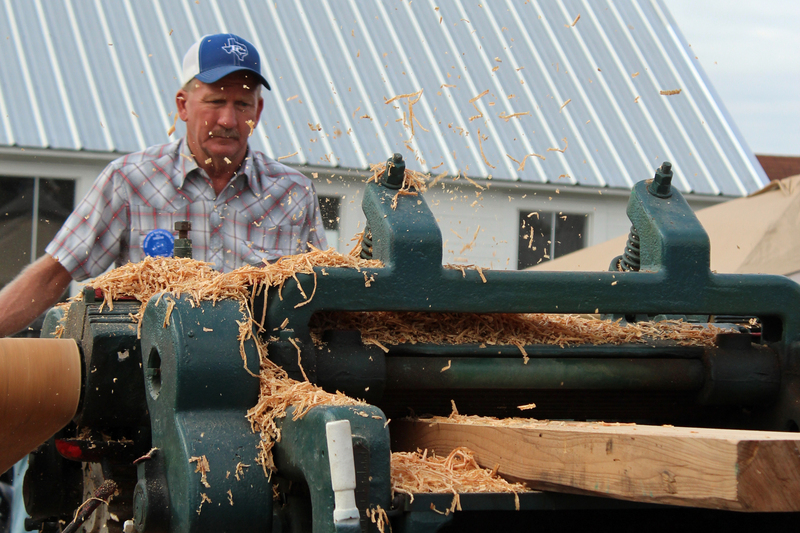 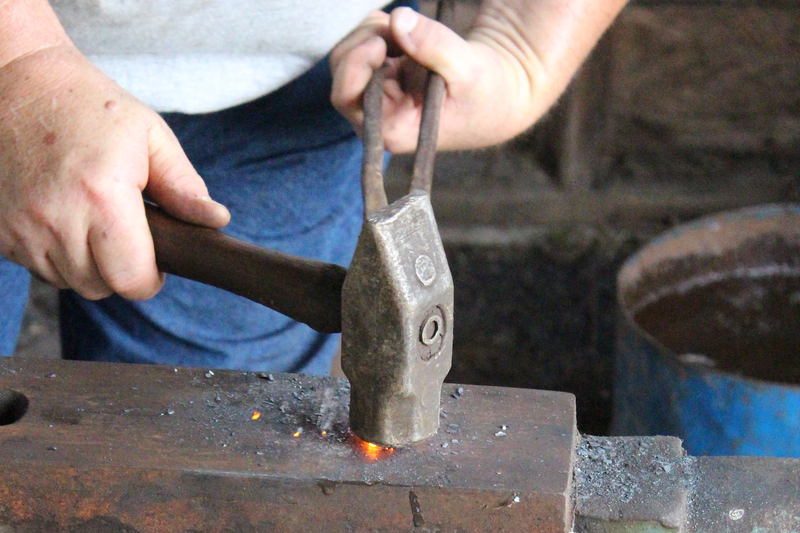 Just a reminder that this year’s show, the 45th Annual State Show, is set for October the 1st! 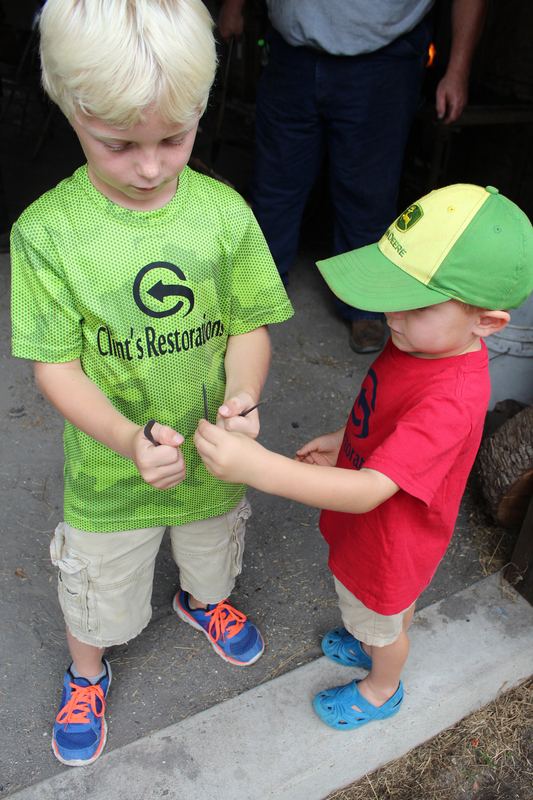 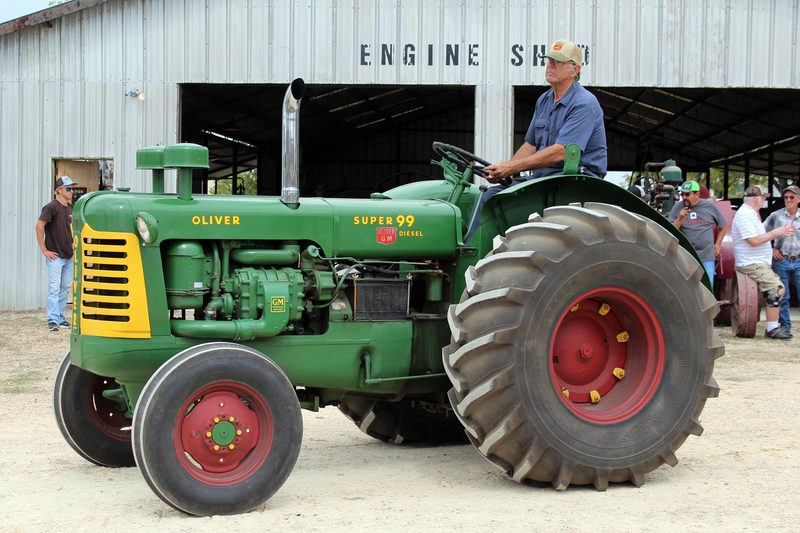 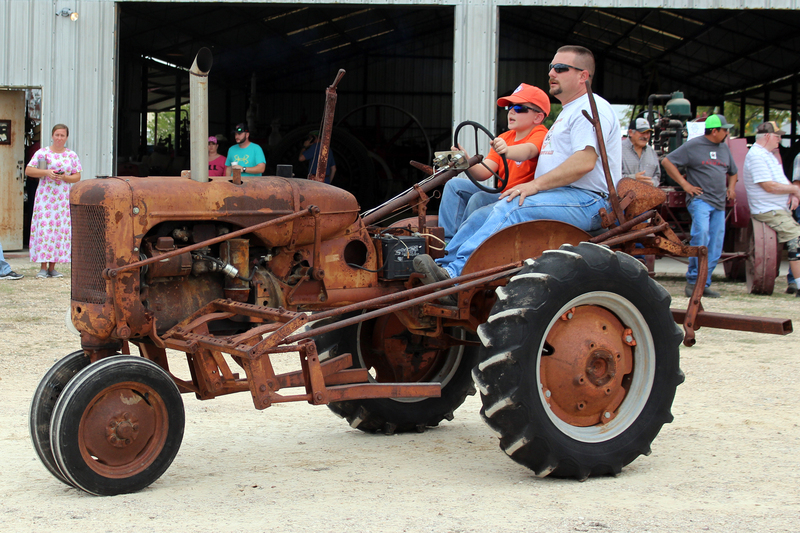 Our feature Tractor is Oliver and our feature Engine is Reid. Below is a list of forms to help with joining the club, setting up vendor space or reserving an RV site at the show. TEDTEA RV Parking is by Reservation Only. 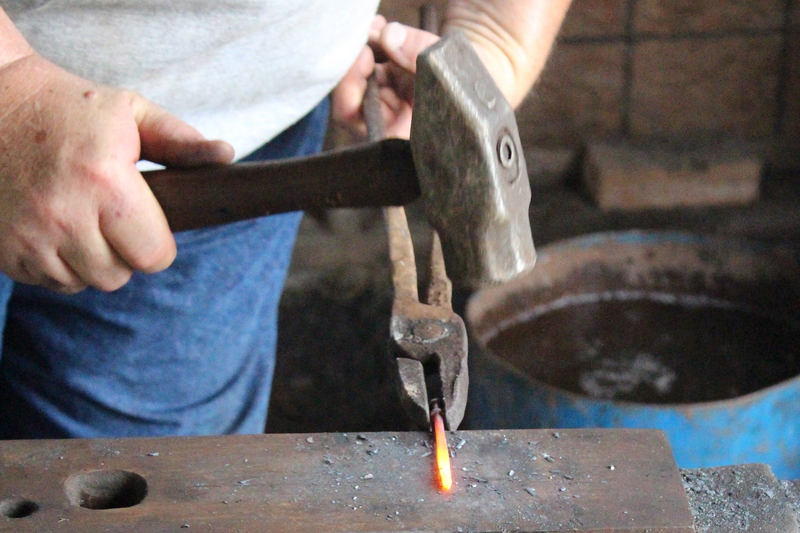 We have 28 spaces with Electricity and Water. For questions about your RV Reservation, please contact Steve Winkler at 254.721.7434. 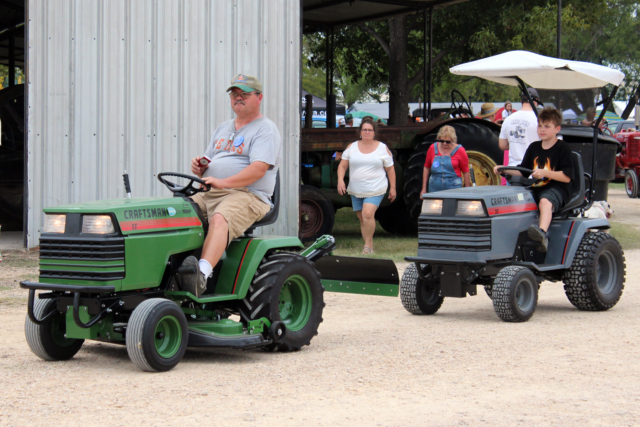 Amperage is limited, so please do not use more than one electrical appliance at a time. 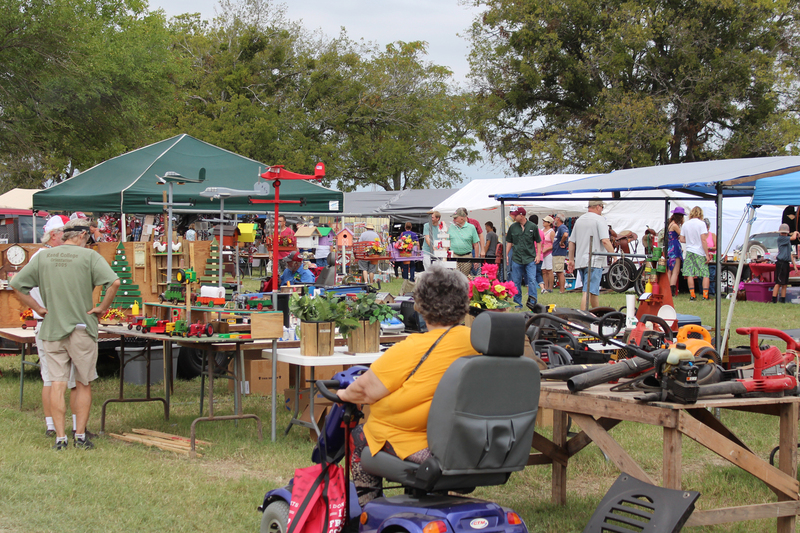 NO dump station is available on the show-grounds. Please be aware that TEDTEA does not allow food vendors to compete with TEDTEA menu items. This includes BBQ, Hamburgers, Hot Dogs, French Fries, Corn Bread, Beans or Ice Cream. 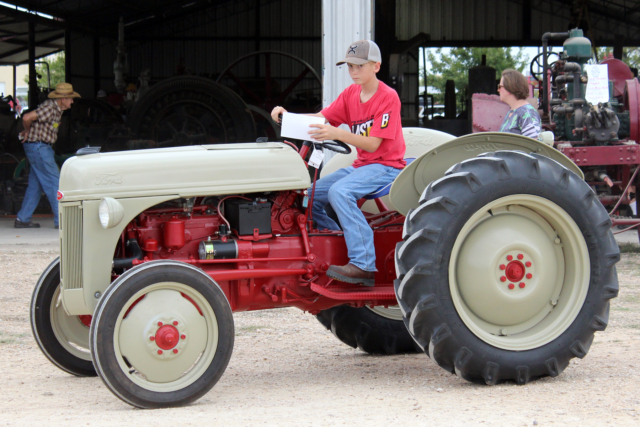 Description: Topics will be Show Posters, T-shirts and the agendas for upcoming workdays. Meeting is open to public and all club members are encouraged to attend. 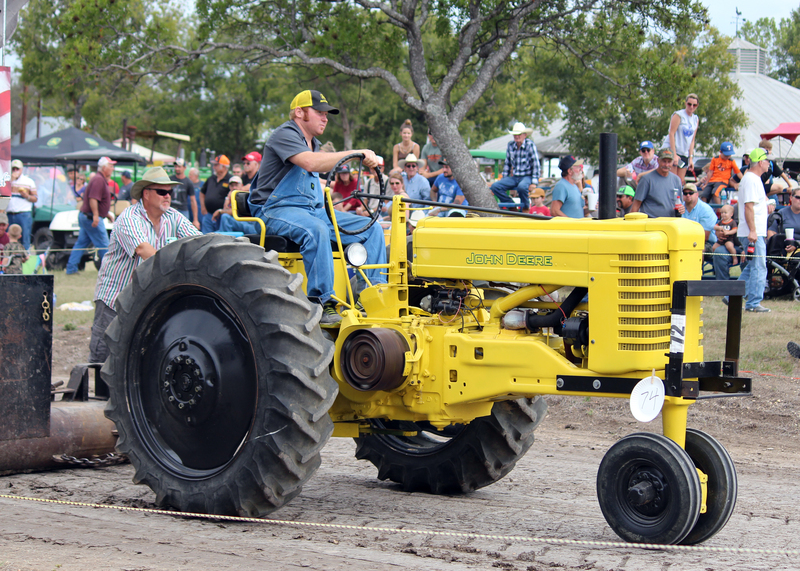 Remember, only 2 months until show time and there’s still plenty to do. 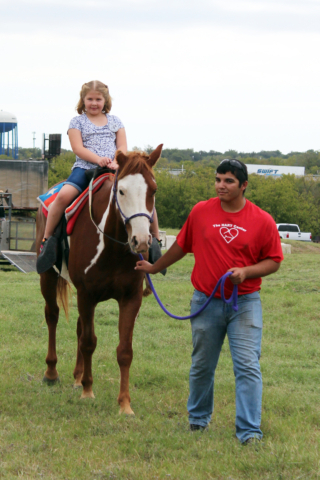 Please try to make it to a meeting or contact us if you’d like to volunteer to help out with anything! 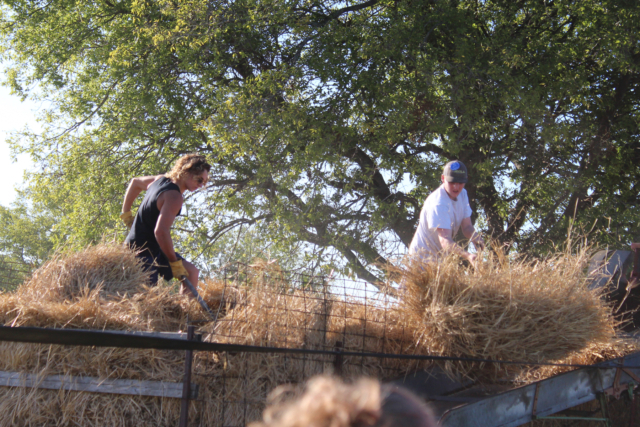 In order for everyone to enjoy the show, we ask that all members try to volunteer for at least 2 HOURS during showtime. 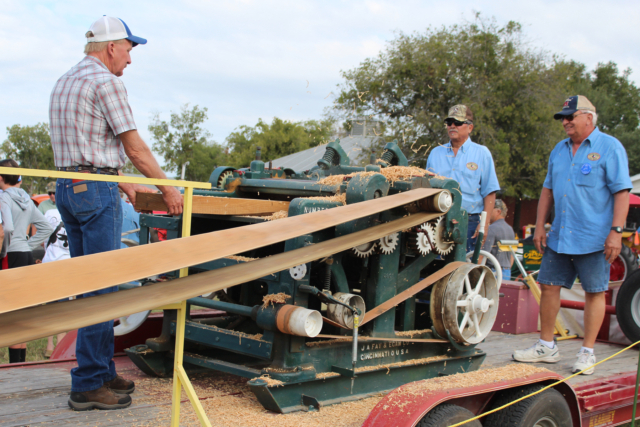 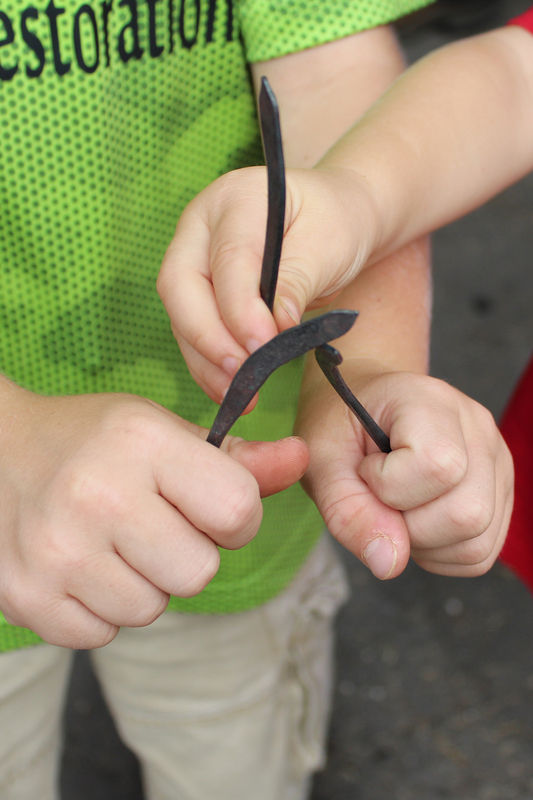 We have some folks that help year round with maintenance and special projects and that is great, but if you can’t do that there are still plenty of opportunities to get your 2 hours in during the show! 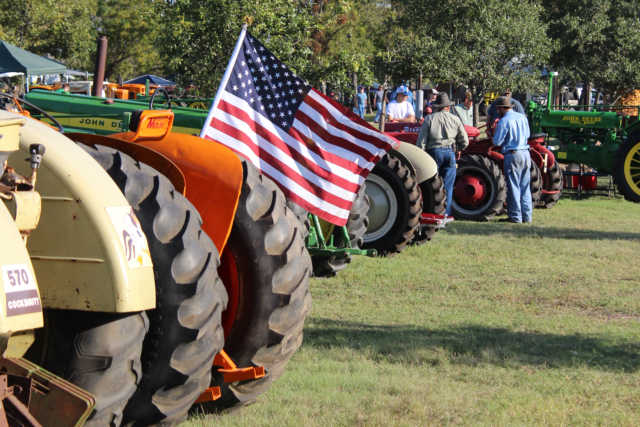 Join us for our 2nd Annual Tractor Ride. 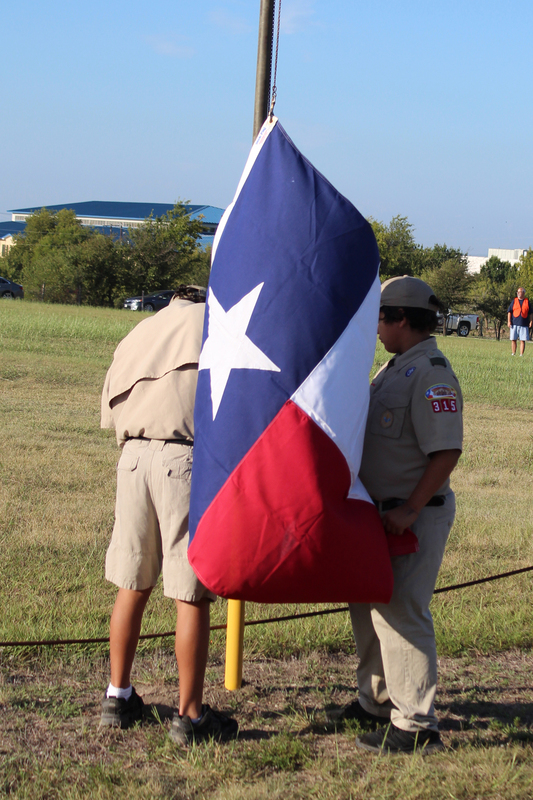 Sign-Up Sheet can be found HERE.